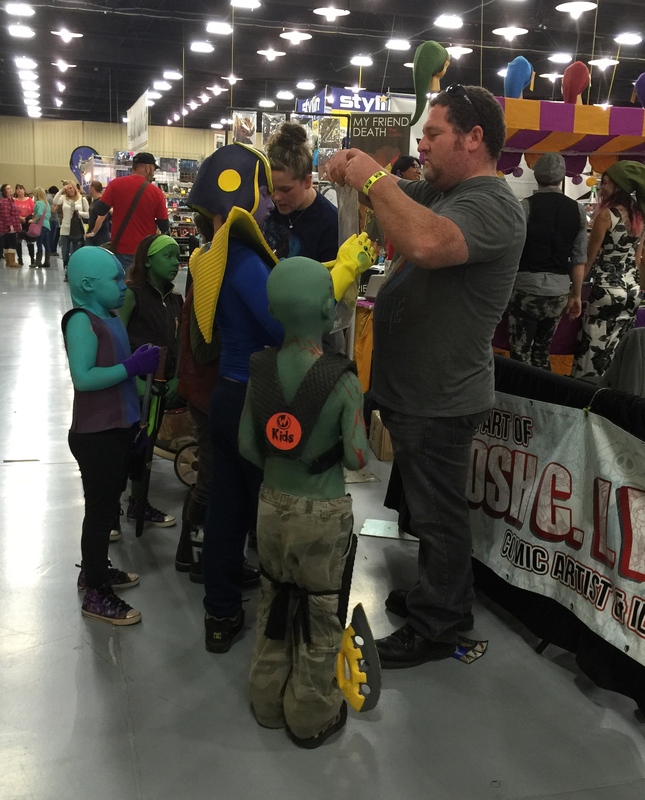 Going to a Comic Con wasn’t on my bucket list, but you do a lot of things for your grandkids that you wouldn’t ordinarily do. 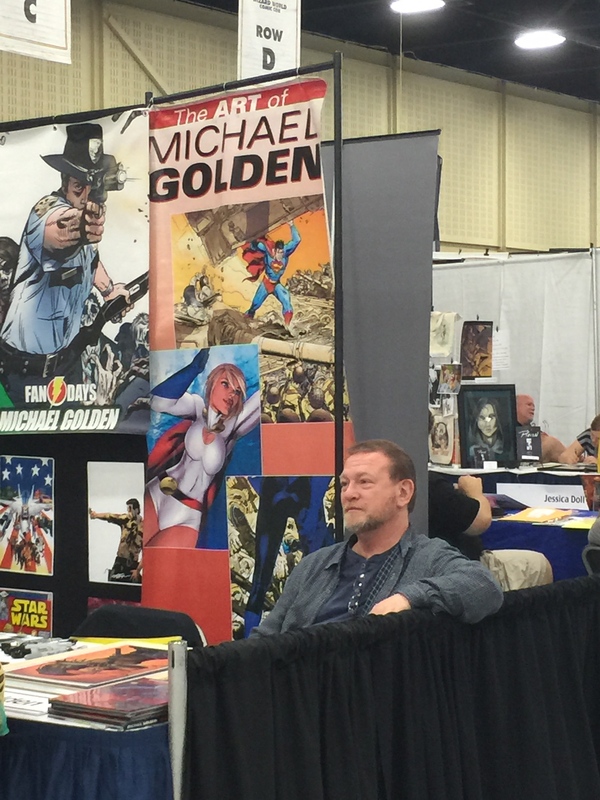 That, plus the fact that a friend of mine, Scott Wilson, was appearing as one of the guest stars when Wizard World Comic Con came to Tulsa. 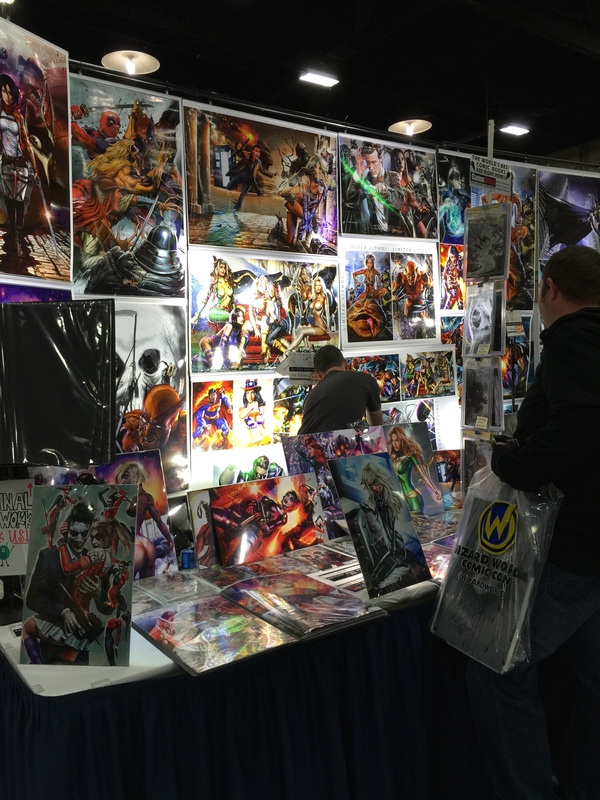 And, I was naturally curious about a phenomenon that has grown from a comic book convention to a group of Trekkies and Star Wars fans to a show that highlights a whole pop culture world of comic books, graphic novels, movies and television shows. These things are huge. The Comic Con in San Diego draws A-list stars. There had to be something to it. Right? There aren’t so many grandparents there because it’s noisy, you walk a lot on hard floors, the crowds are big, and other things that make it not as attractive once you’re older and more curmudgeonly. But, there are people of all ages. It’s a diverse crowd because there is a universality to costumed characters that transcends race, gender, sexual orientation, income levels, age. 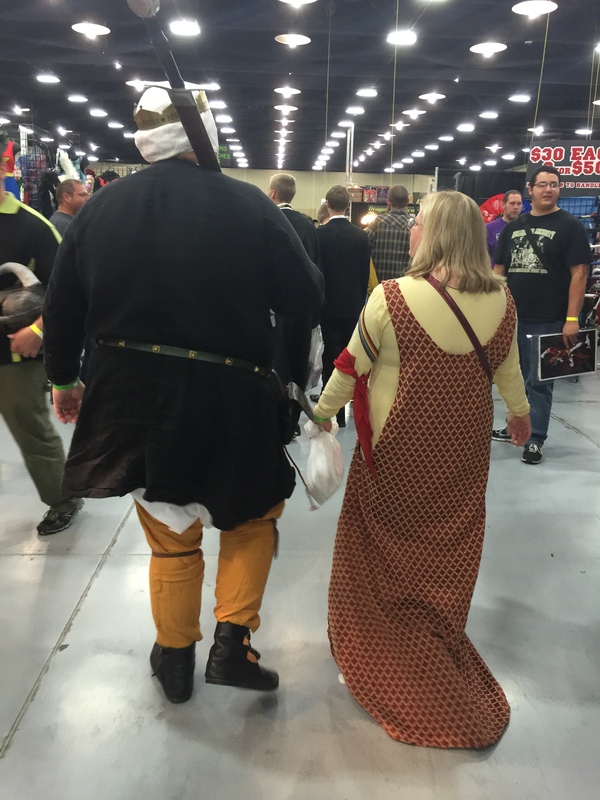 I also learned a new word…cosplay. That’s short for costume play. There were signs saying that you needed to ask before taking photos of cosplayers. That amused me because I guarantee that the majority who spend hours and dollars on elaborate costumes are there to have their pictures taken. This guy strutted around all day, posing with anyone who asked. 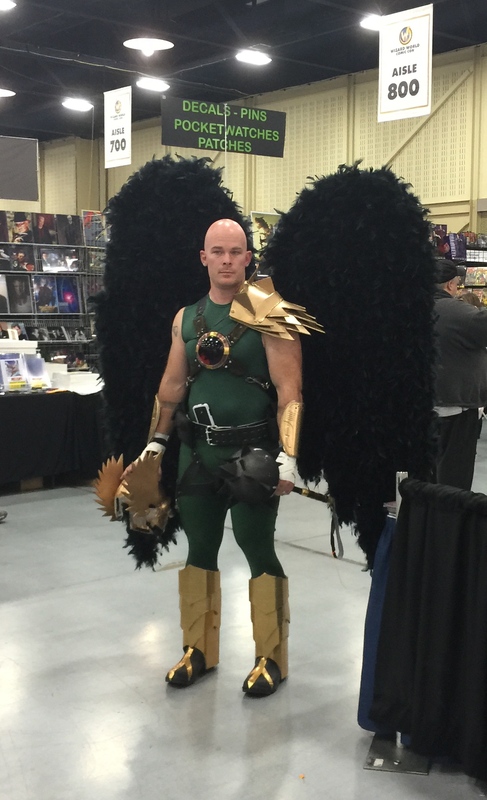 I have no idea who the character is, but his costume is cool. 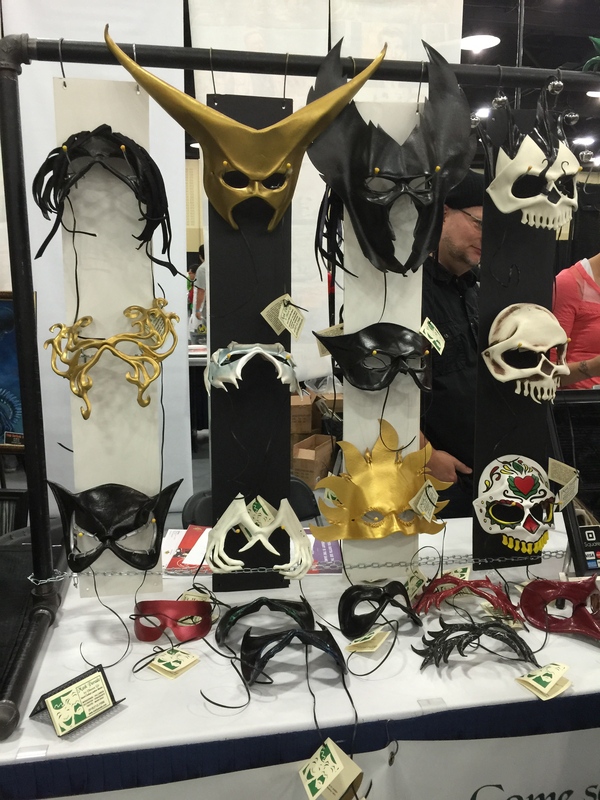 If you go to a Comic Con, take lots of money. 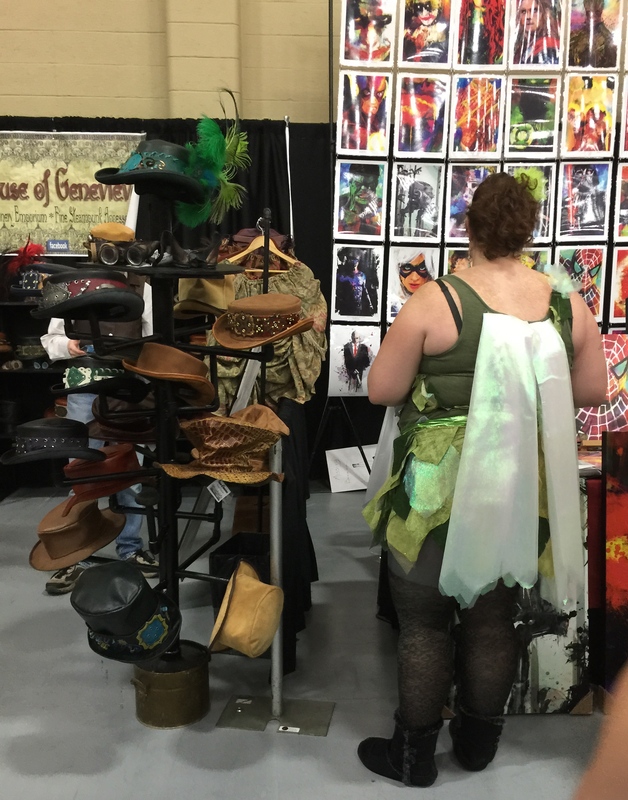 There are booths with everything you want in this fantasy world. There are toys and action figures. 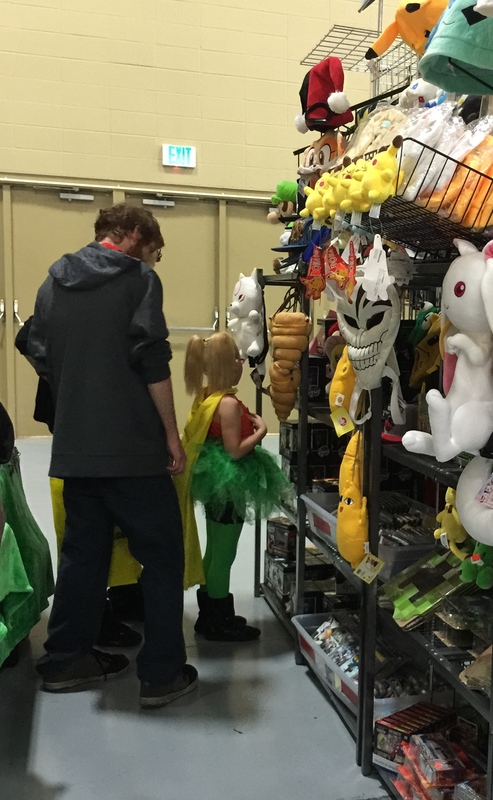 I loved this little girl in her fancy Robin costume picking out a toy. 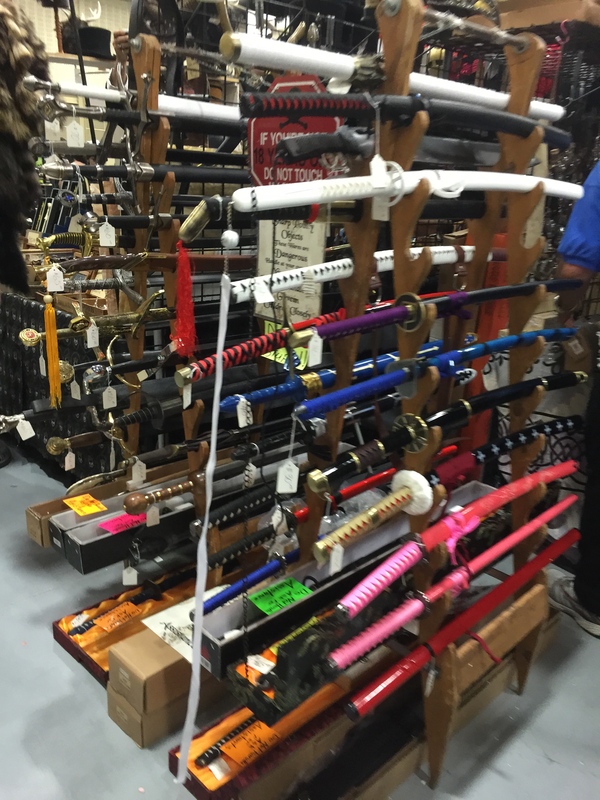 There are swords and other props, and, yes, the swords are real metal. Wow! These guys are armed for any kind of invasion or apocalypse There are helmets and hats And beautiful masks crafted of leather and t-shirts and huge tote bags to carry all your purchases This father showing his kids the incredible light sabers amused me. The father probably grew up with Star Wars and is passing it down to his sons. 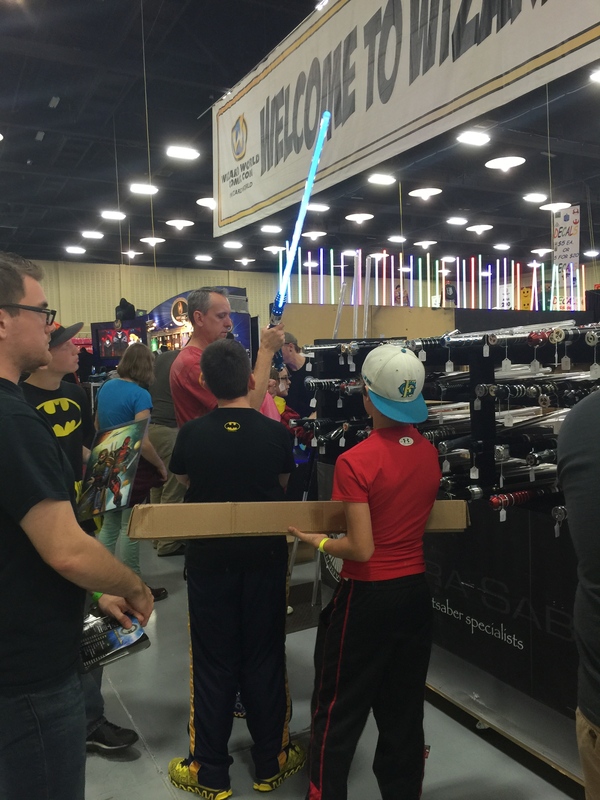 I saw people playing with the light sabers they bought at costs of $200, $300, and $400 and up. They were definitely cool. 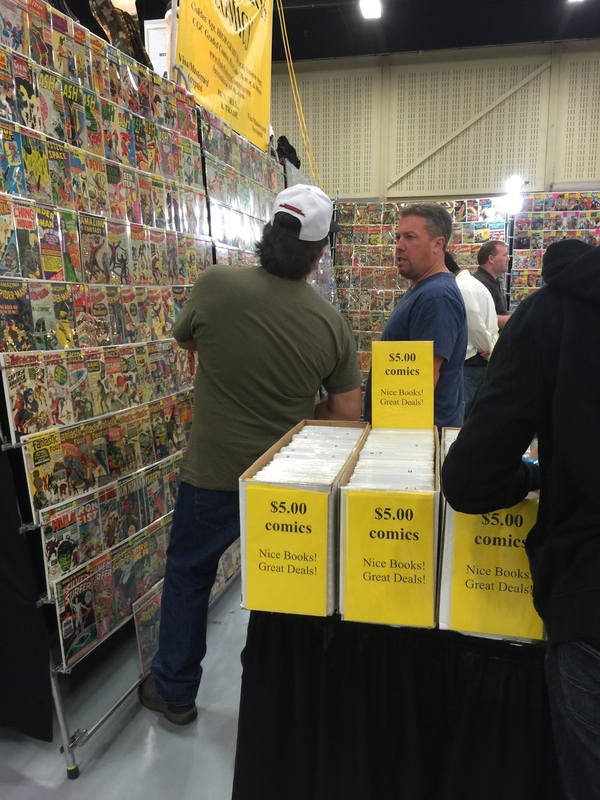 And, of course, there are comic books and graphic art of all kinds… Meeting celebrities is another plus. 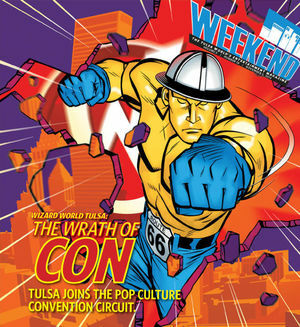 The Tulsa World featured a piece of custom art for the Tulsa show created by this artist who was selling prints of his other work. 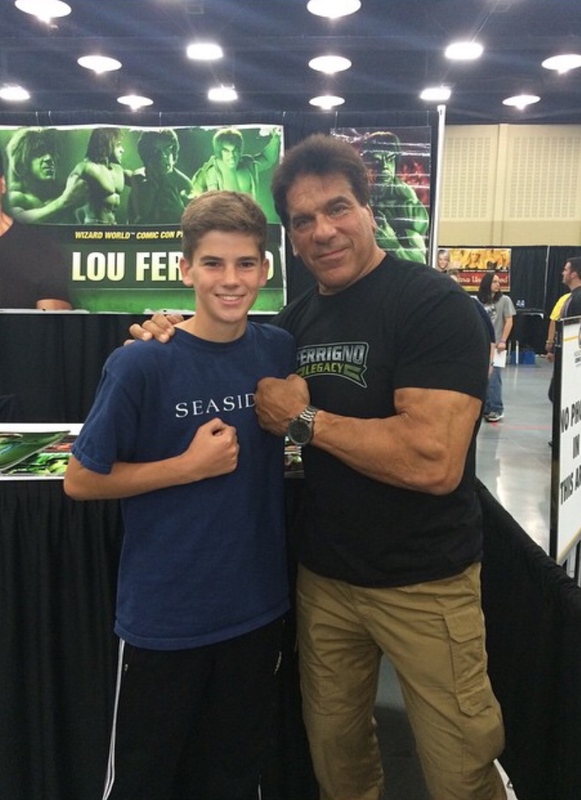 You could meet Lou Ferrigno of The Incredible Hulk, as my grandson did. 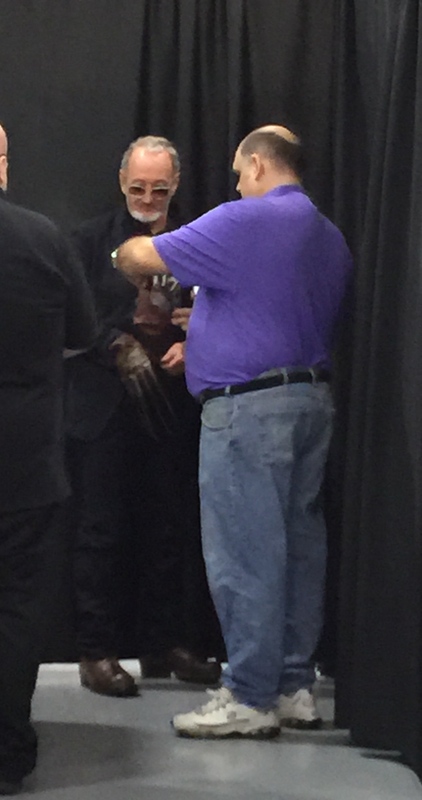 Here is Robert Englund, who played Freddie Krueger in the Nightmare on Elm Street movies, strapping on his sword-like hands for a picture with a fan. I watched a little boy wearing a mock hand and Freddie Krueger hat gasping in awe as he watched him. There were lots more stars from shows and movies from William Shatner from Star Trek, to stars from Ghostbusters, The Karate Kid, Superman, Harry Potter, and others I didn’t know. There were question and answer panels that drew thousands of fans. 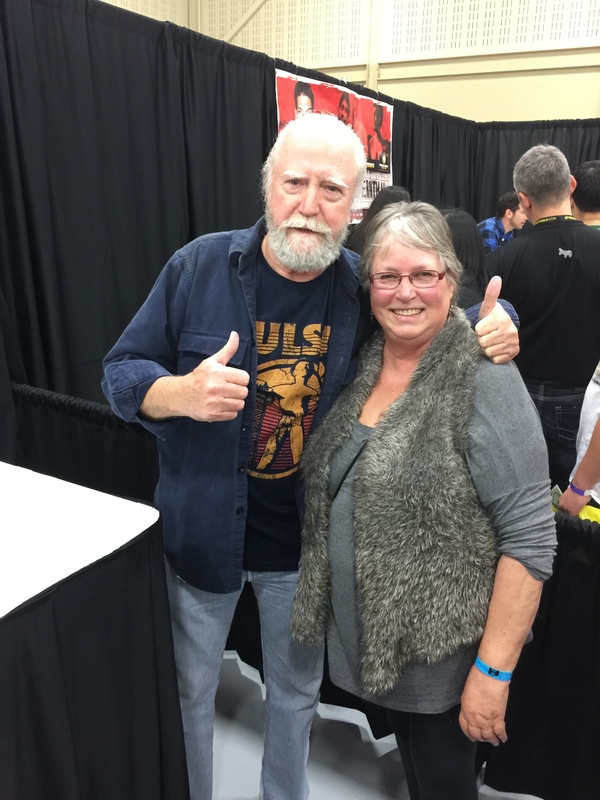 My friend, Scott Wilson, has a long career in films and became a Comic Con star playing Hershel Greene in the Walking Dead series. The four actors from that show who came to Tulsa were by far the stars of the show, with Norman Reedus, who plays the crossbow wielding anti-hero Darryl, being the rock star. Their lines were continuous. I have to say that Scott goes above and beyond with his fans, giving them all hugs and personal conversations. He is a gentleman and a jewel in my book. Here he’s wearing the t-shirt featuring Tulsa’s iconic Golden Driller that I gave him when he got to town. 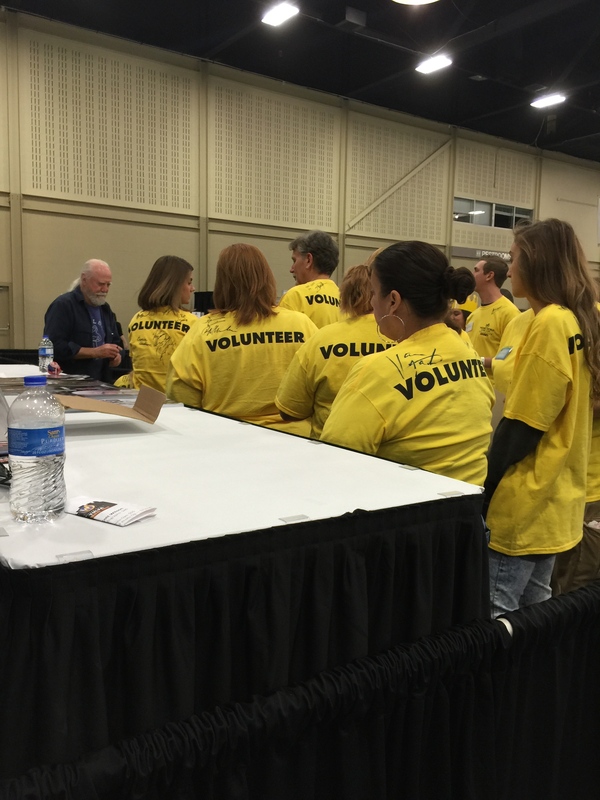 He also stayed an extra hour to give free autographs and pictures to the show’s volunteers at the end of a grueling weekend of activities. 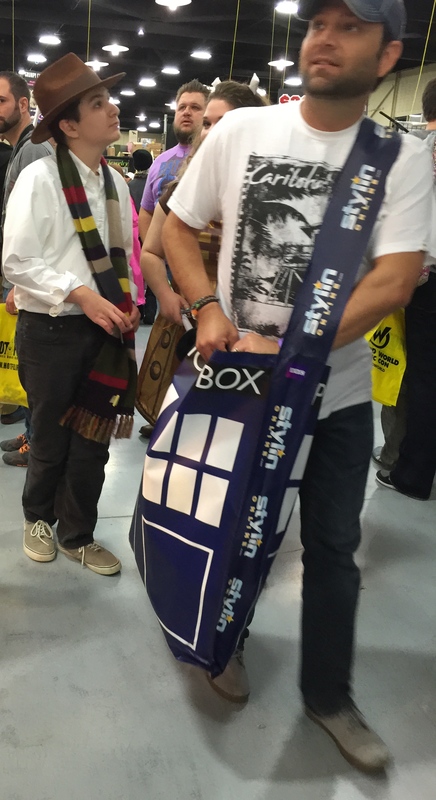 Comic Con has the reputation among the non-believers of being only for nerds. Well, maybe, but this is where these fans can meet their peeps and mingle for a delightful weekend. After all, I’ve been to Renaissance Fairs and re-enactments and the Scottish Games and October Fests which are not much different. It’s all a festival where adults can remember what it’s like to be a child again. 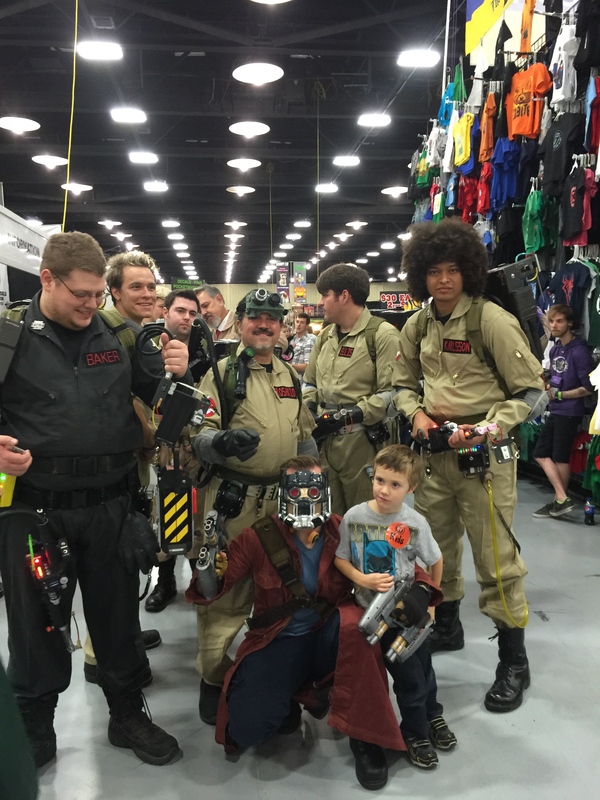 Comic Con is a place where families can play – or cosplay – together. Here’s a family with oddly colored children. 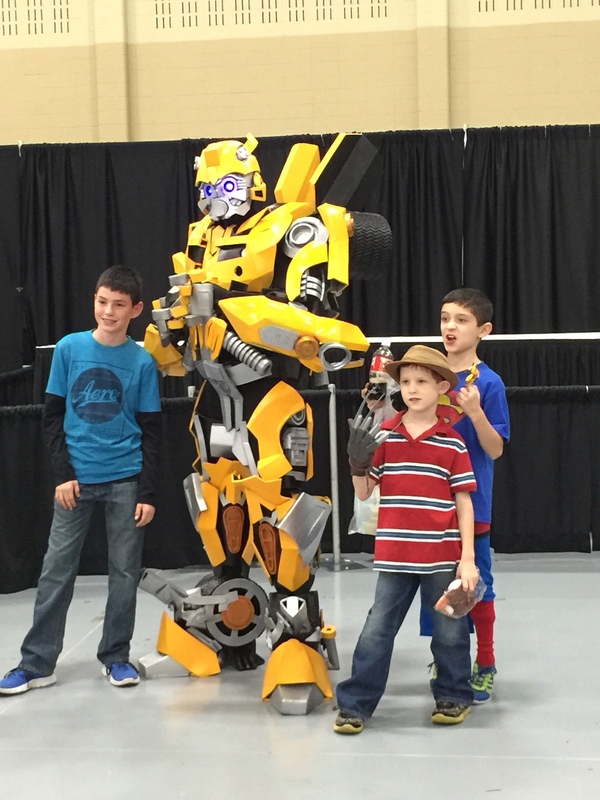 Couples can fantasize about whatever or whoever they enjoy being… Children can meet their action toys in person. And grown men can bring the Oklahoma Ghostbusters out to play. Some of you are rolling your eyes that people actually do this, but it’s really great fun to watch people enjoy themselves in whatever fantasy they choose. There was an atmosphere of camaraderie and festivity for all who attended. I got a huge kick out of watching it. Way more than I thought I would. 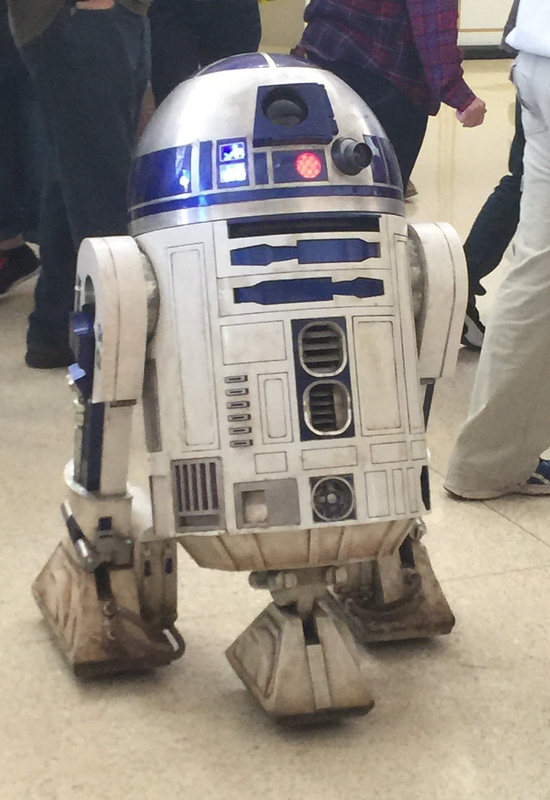 As my little friend, R2D2, said to the crowd…Beep! Beep! My own memories flash. How many Star Wars figures did I pick up off the floor when my son was little? Why did my mother throw out all my brother’s comic books? Who knew? 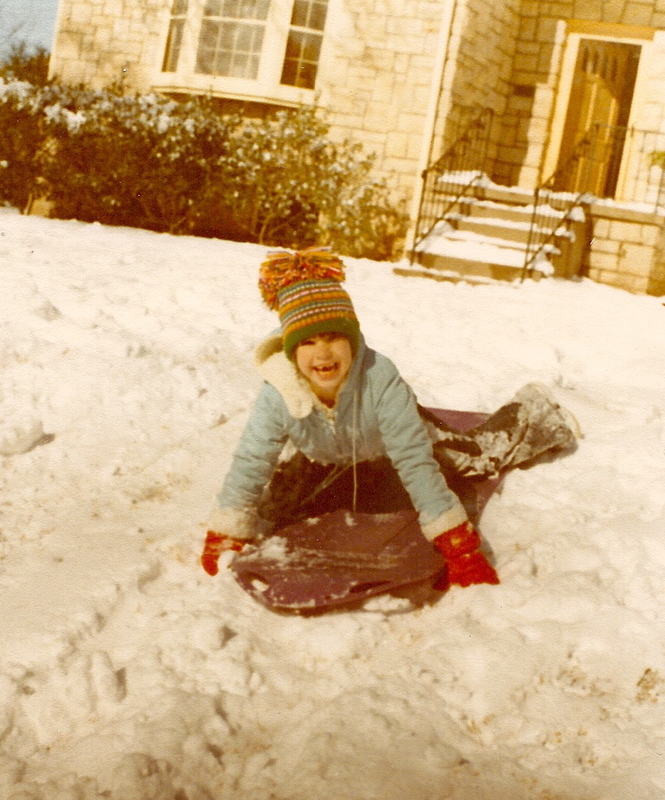 Today’s the first real snow we’ve had in Tulsa in a year or so, a treat to cozy up inside and enjoy the calm it brings. Snowfall quiets everything down, mutes the sounds, takes the traffic off the street, forces us to stop rushing and sit back and reflect. I know there are the days when it freezes and we lose power and can’t move around the city, even when working people have to, but there is that time when it’s just softly falling and there’s no reason to do anything but enjoy it. The fireplace is lit, hot chocolate in the mug, soup on the stove, and nothing but quiet outside. 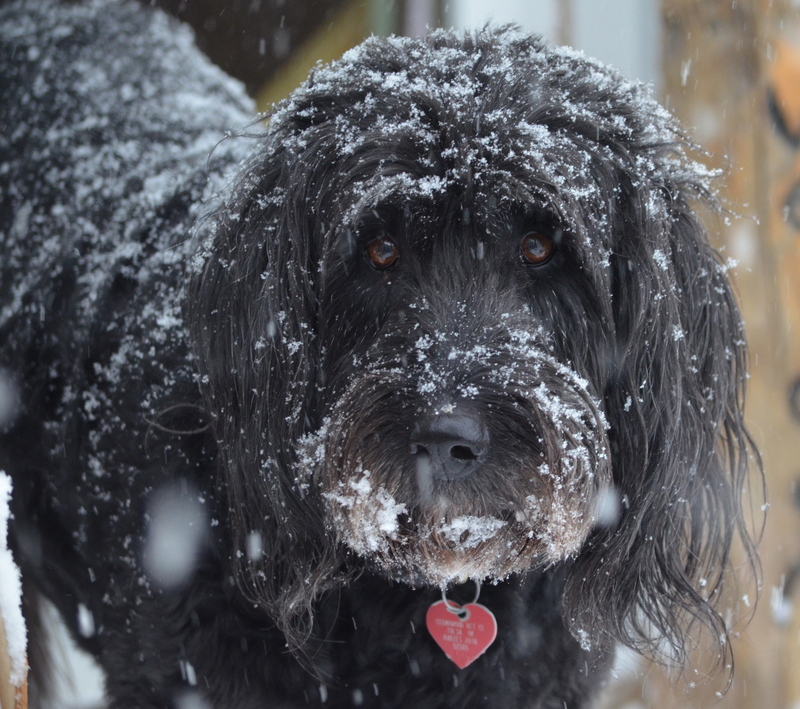 Except my dog, Molly, short for Good Golly Miss Molly, who wonders why I’m not out running with her in the 20 degree weather. I can’t believe I have to look back to see them as babies. They grow up so fast. Sigh. I keep wondering if I ever had a year when I didn’t appreciate everything around me? When I was younger, did I drive by all the beauty in a couple of decades of endless carpools and meetings and kids? I don’t think I did. I hope I didn’t. I only know I appreciate all the beauty more every year now and this beautiful world takes my breath away every day. 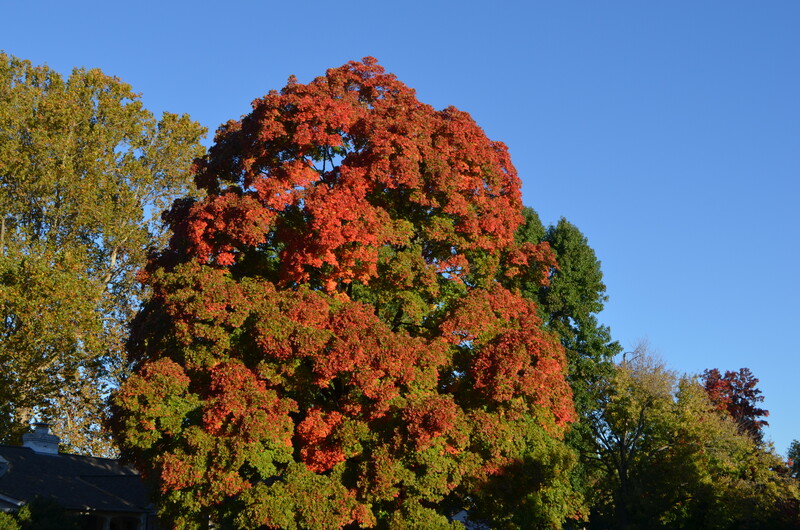 Tulsa is exploding with colors. 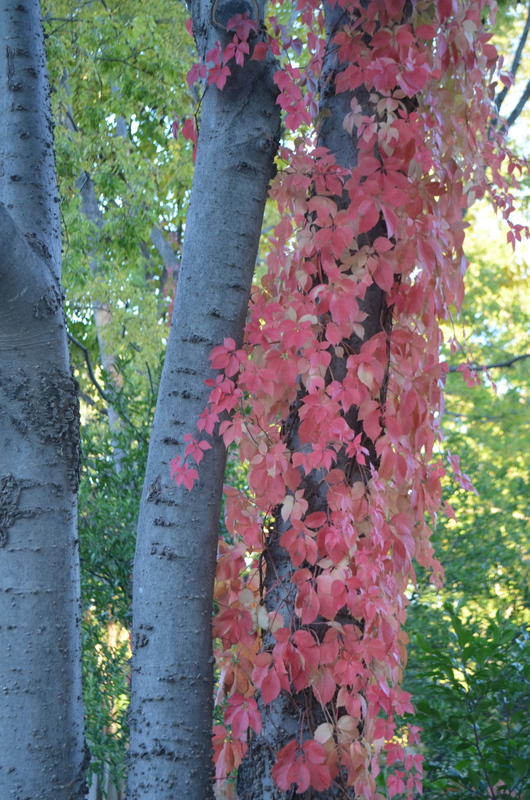 The cities are often prettier than the country because people plant trees for their seasonal colors. 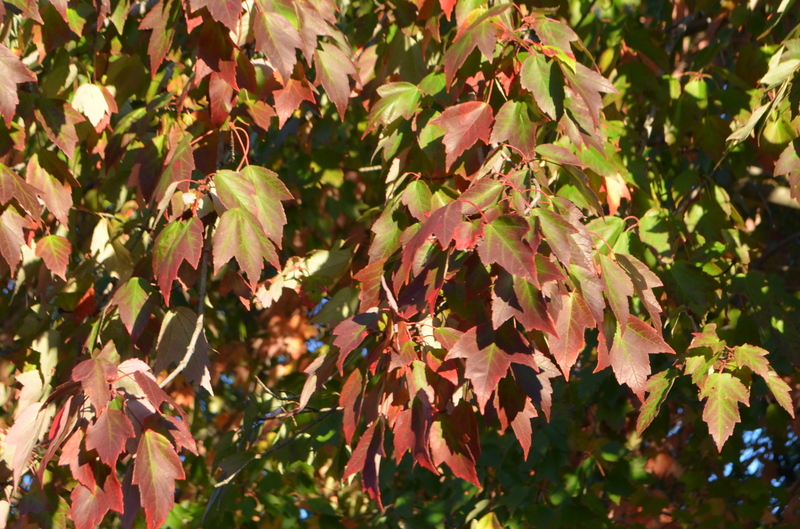 We’re having a kind of late fall because it’s been so unseasonably warm, no freeze yet. 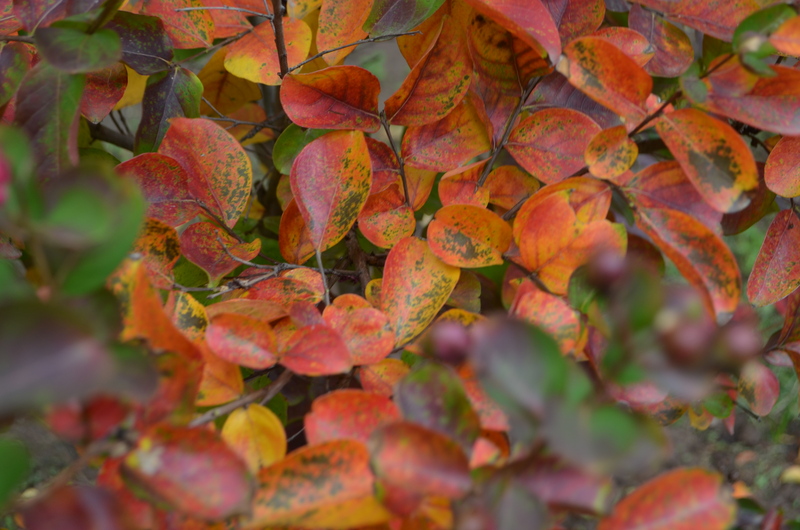 But the color is coming every day. 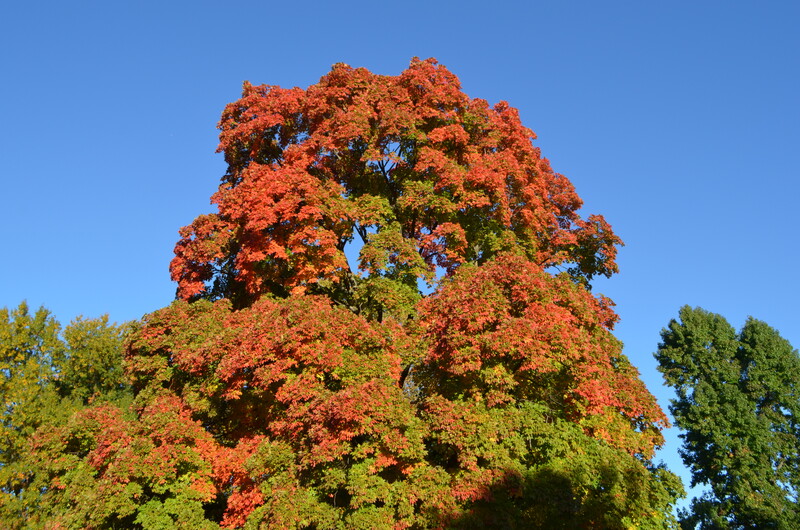 You drive by a tree one day and it’s green, the next day it’s changing colors, the next day it’s brilliant. 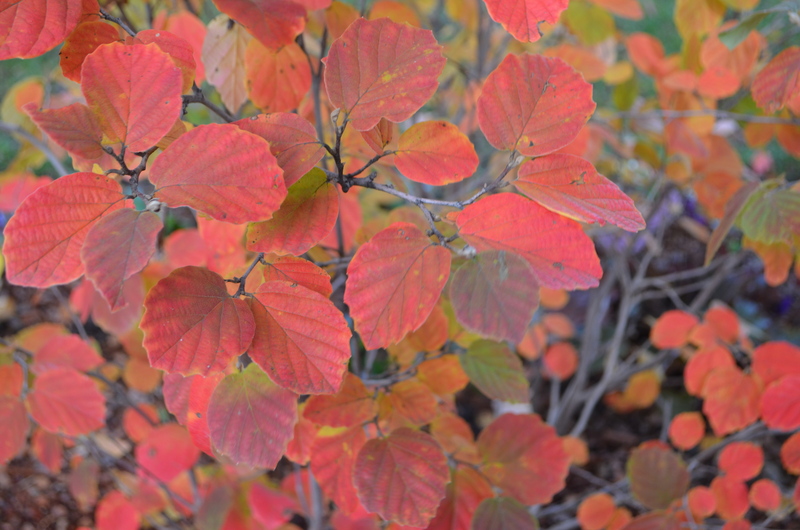 Every errand is a trip through beauty. 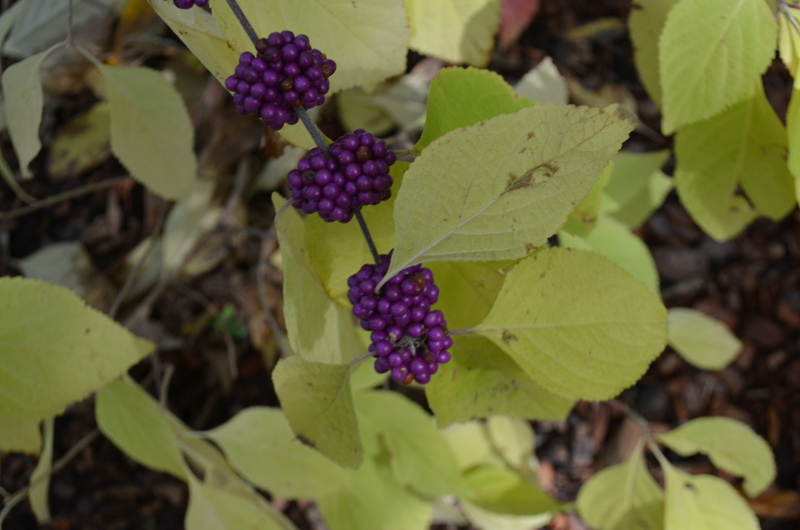 I want to stop along the way with my camera to catch it all. I’ve taken pictures before, but it’s different every year. 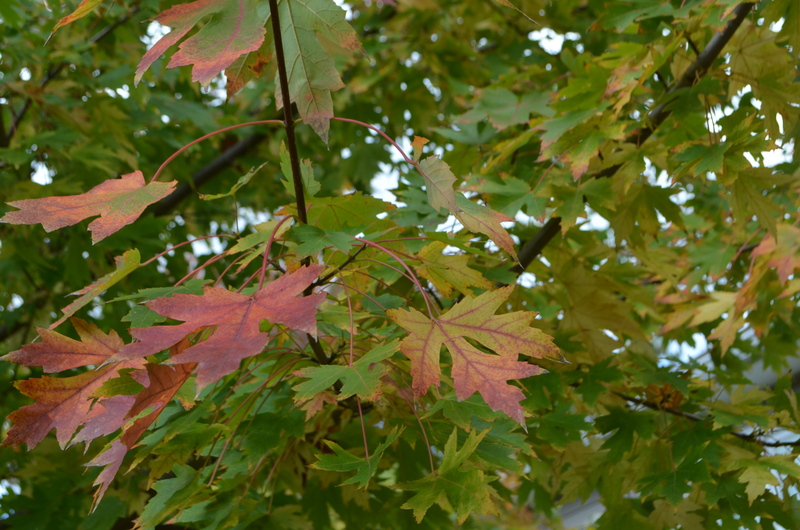 Trees change shapes, the colors and go, it’s a new world. 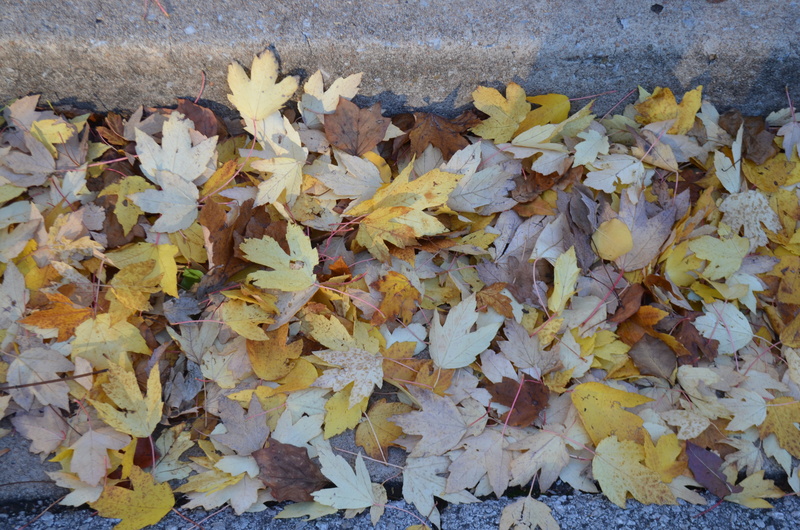 It’s a beautiful fall day when the skies are a clear blue and even the fallen leaves are lovely, not yet a nuisance to be raked. 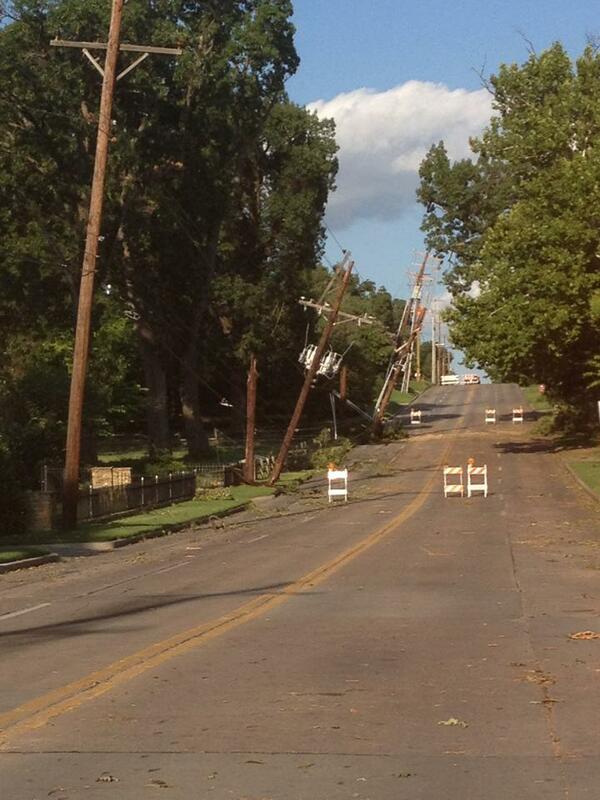 Living in Oklahoma is not for sissies. True to the song, that wind does come sweepin’ and sometimes it’s a little strong. The beautiful plains probably handle it better than the cities. In Tulsa, we are in the corner of the state called “Green Country” by the tourist bureau. For those who think this state is flat and dry, you haven’t seen all of Oklahoma. 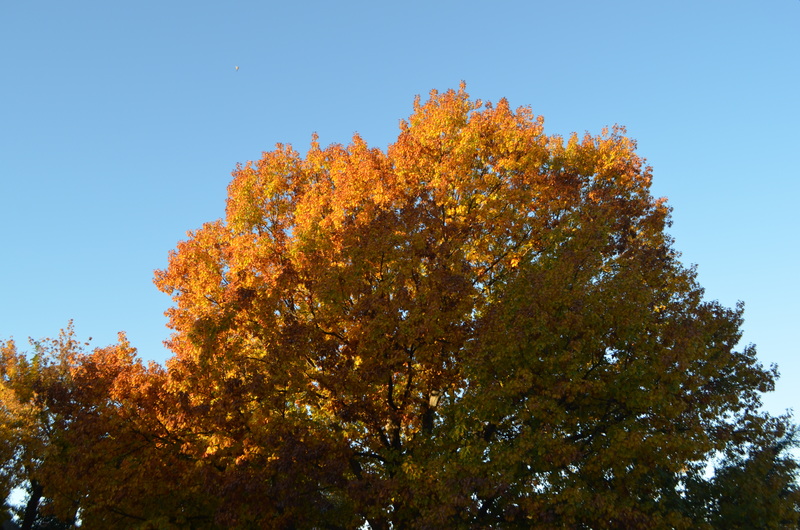 We have gorgeous trees and hills in our lovely city. 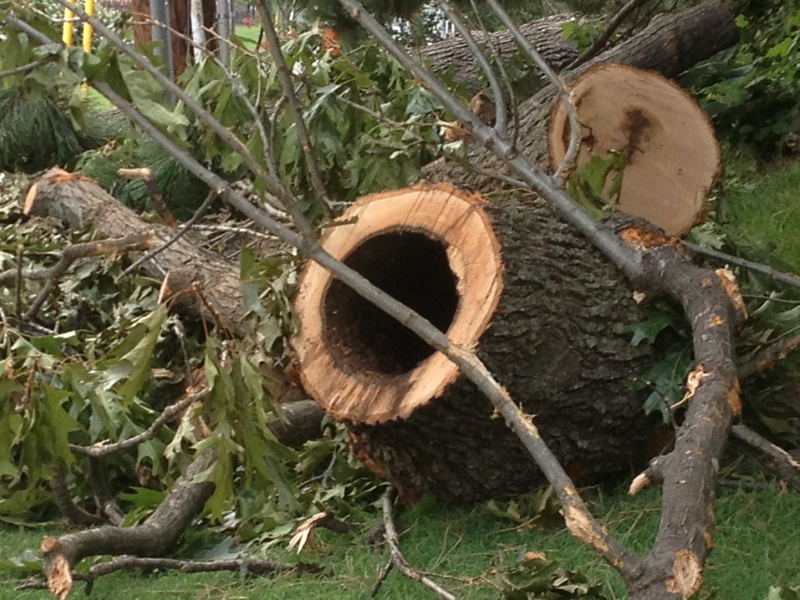 This week, we had a blast of 70-80 mph winds that swept over our area, swirling and blowing until a large portion of the city was without power and nature had pruned our urban forest. 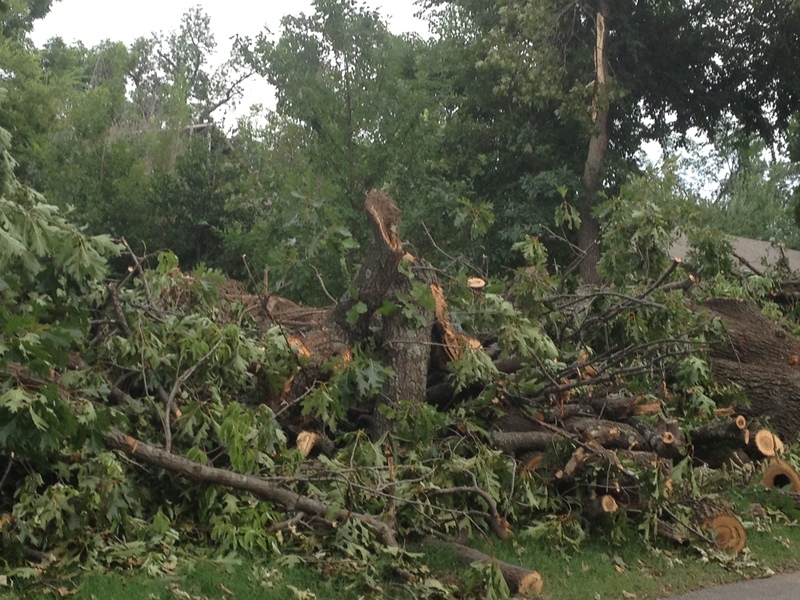 It would break my heart to see the huge trees upended in yards all over the place, but I’ve been through it before and know that when all is cleaned up, we’ll look much the same around here with a few gaps in the sky. We have an abundance of trees. 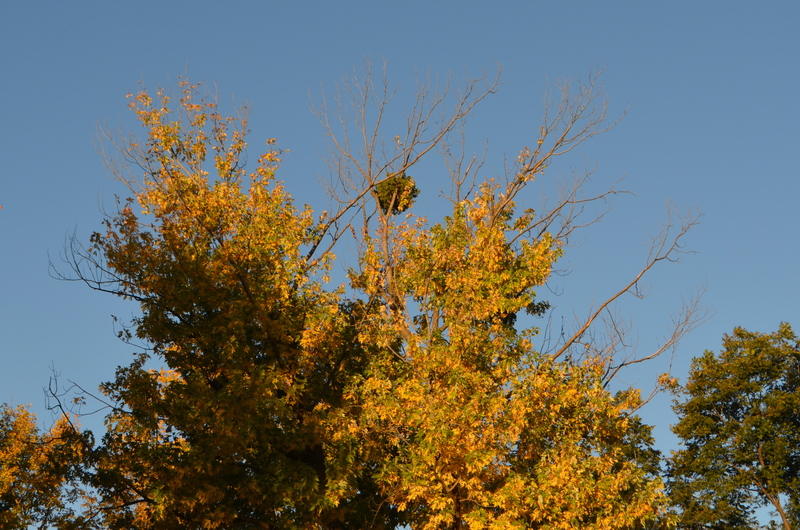 After our major ice storm a few years ago, the city looked like a war zone, but nature picks up and goes again. I’ve also learned from the National Parks, where they let nature take its course. Getting around town has been slow as you dodge limbs in the streets and wait to go through intersections one at at time while the street lights are out. 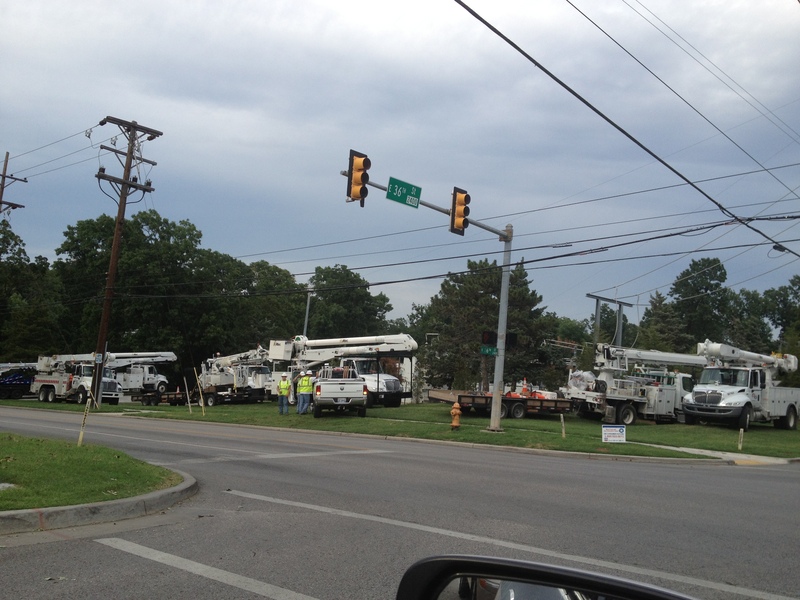 Poles are broken and leaning and crews are arriving from other states to help! I saw some poles propped up with a smaller pole bound to it. 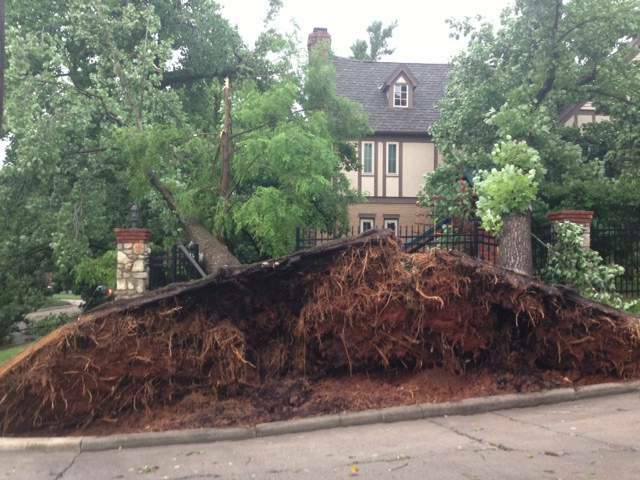 If there is anything good about storms like this, it’s the human spirit that shines through. Days without power make us more grateful for what we do have. After writing about Keeping Cool earlier this week, many had to live it in the humid heat following the storm. At least there are places to go with air conditioning and ice. Neighbors and families with power provide meals and cool places to sleep. We know not to open our refrigerators to keep them cold or put perishables in coolers with ice until the stores run out. Most people should have lanterns and flashlights around. 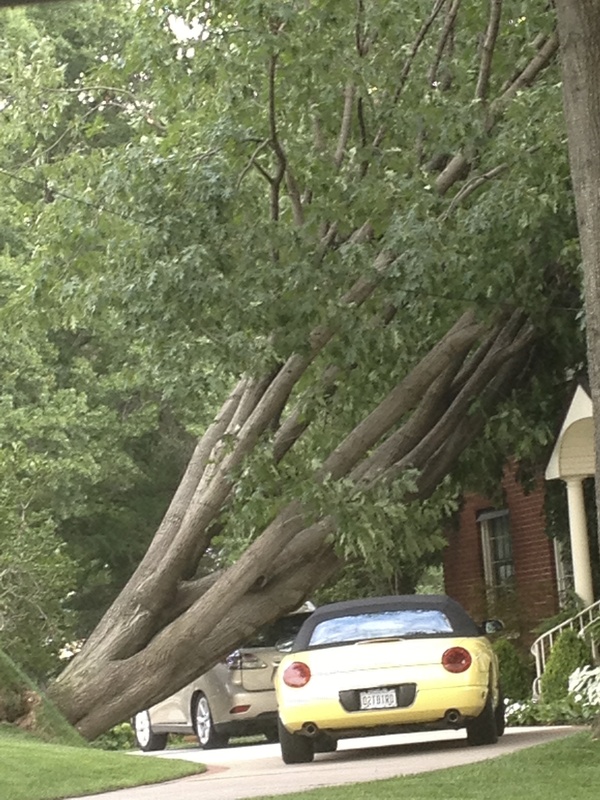 Some have generators left over from ice storms. One of the newest problems is charging all our devices. One of my daughters without power took all of her family’s electronics to her sister who had power to recharge…iPhones, iPads, iPods. We’re kind of an Apple family and need our gadgets to stay in touch. On the other side, my brother doesn’t have power after three days and needs to be connected for health reasons. I check on him and make sure his phone works so he can get help if needed. I’m sure there are many like him. I have to wind through the back streets to get to him because he’s on a main street blocked by electric company workers trying to get everything going. Power outages bring out our pioneer spirit, 21st century style. We’re not exactly without resources these days. 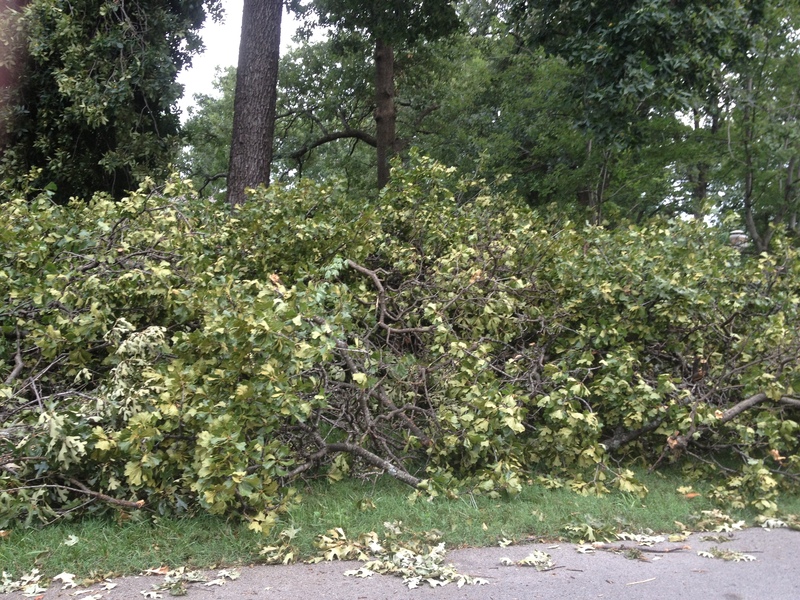 Neighbors help neighbors move limbs until the hoards of trucks and men with chain saws flood the city. There’s money to be made following a storm. I’ve been grateful to have power, although I lost my internet and cable for a couple of long periods. Hard to complain. In fact, it makes me laugh to think how deprived we can feel without things that are really luxuries. Reading books is back in style, by lanterns or on tablets, in a storm. So, we’re picking up and going again. 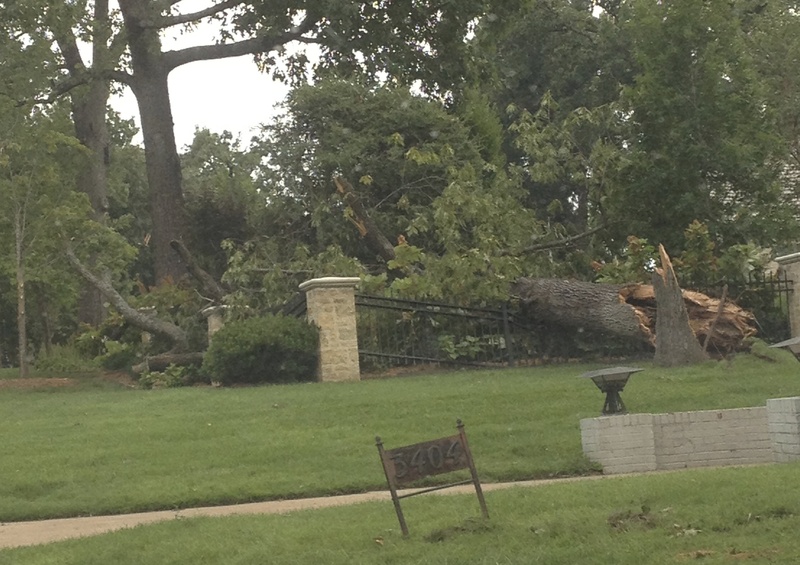 We survive wind, tornadoes (big wind), ice, heat and cold and floods here in Oklahoma. We’re OK. 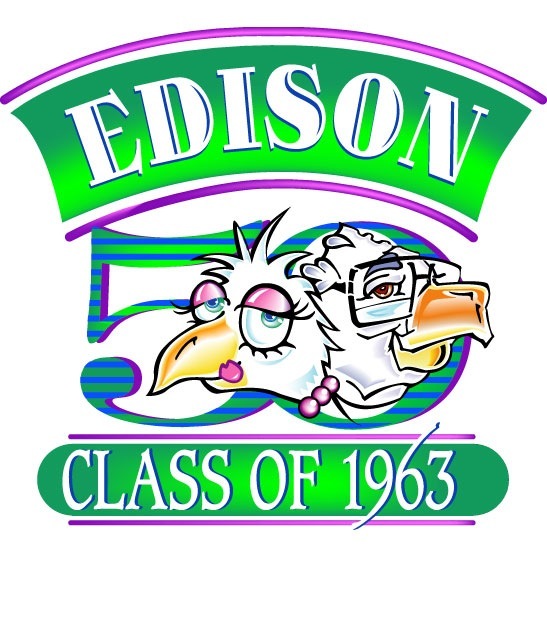 I graduated from high school 50 years ago. 50 YEARS AGO!!! That’s hard to say, hard to imagine. Really? Where did all that time go? How did it pass so quickly? 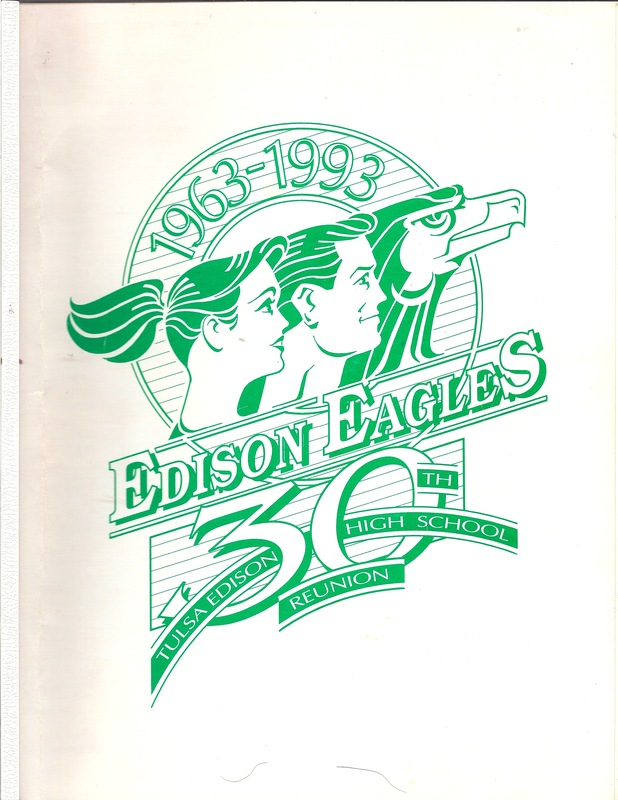 I was in a great class, a class of about 650 that produced 26 National Merit semi-finalists, had excellent teachers and a whole lot of fun. 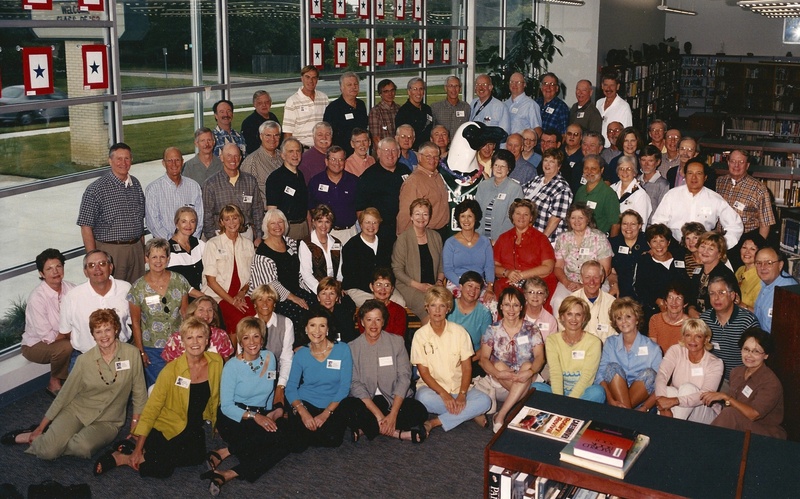 This week is our reunion, which makes me think about all of our reunions…I’ve been on every committee. 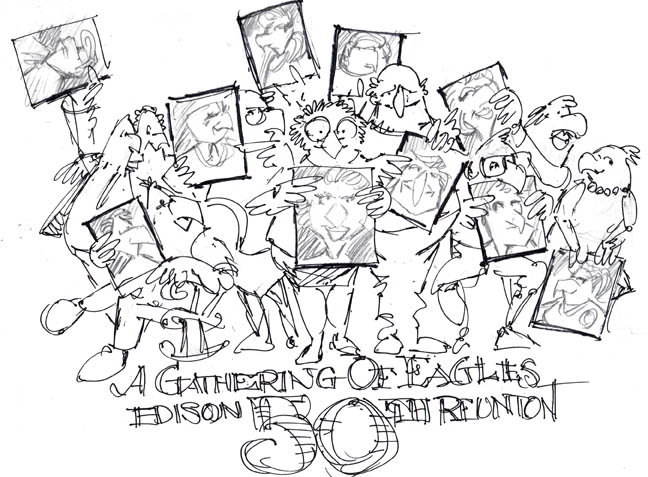 The 10th reunion was in 1973. 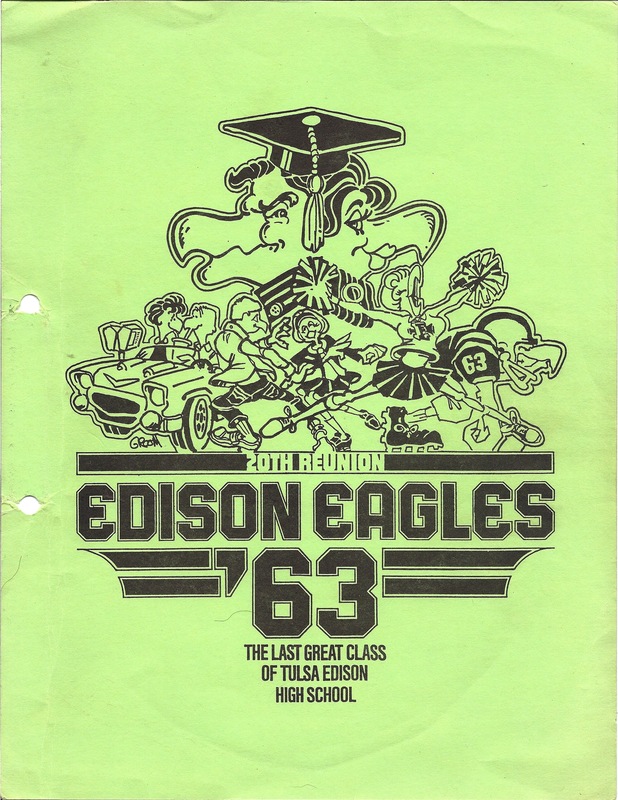 The committee had to have calling sessions to find everyone, using our high school directory to call parents’ homes, phone directories, information. 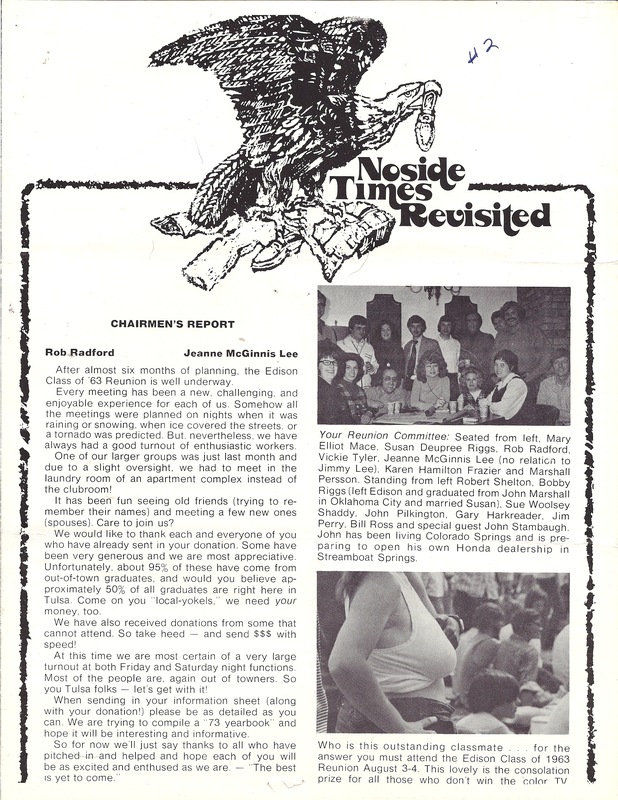 We sent out newsletters, printed with a fun logo drawn by one of our artist classmates, using the name of the student paper when we were in school. We worked hard to find everyone we could. The excuses for not coming that year were mostly due to lack of funds or having babies, we were in our childbearing years. 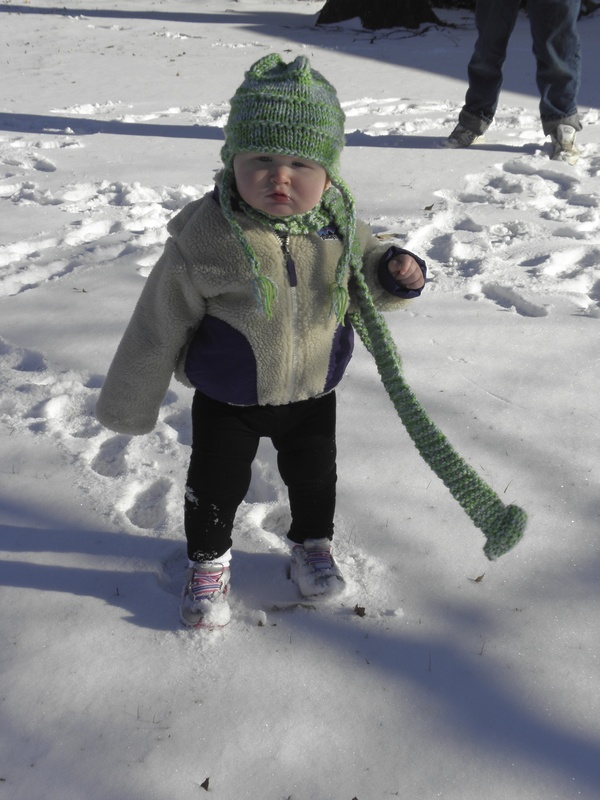 Actaully, I had just had my third child a few months before – there were many of us with new babies on the committee. We ended up with about 200 attending, including spouses. We had lost some classmates and found out that some of the people we knew really hated high school and never wanted to remember anything. Many came home to see family while they were at the reunion. Friday night was the night where you broke the ice, greeted everyone, met their spouses, and caught up on what was going on in their lives. We rocked out to records at the studio where we first took dance lessons. We still knew all the moves. We had an Assembly at the school on Saturday. Some of our former teachers attended and we pretty much did a traditional assembly, as I feebly recall. Saturday night, we dressed to impress and went to the fanciest country club in town. Hairstyles ranged from shags to intricate, high updos. The men had longer hair than when we graduated and mustaches were in. 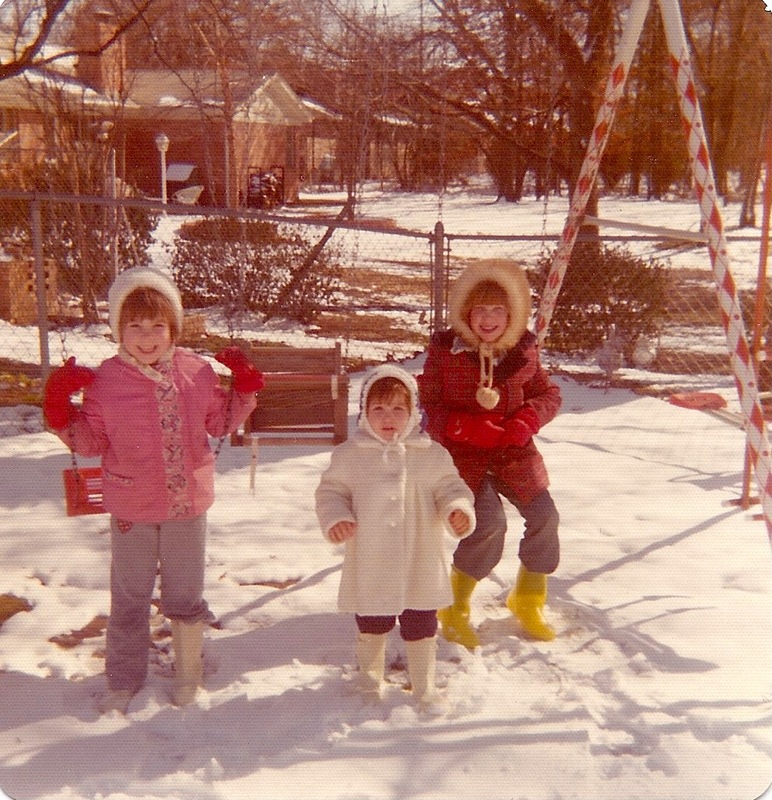 The clothes were loud, the times were fast. We gave awards for who had been married the longest, which went to a classmate who married while we were still in school, most children, most unusual profession (jockey), who traveled the farthest to get there, and best preserved male and female bodies (last time we ever gave that award). 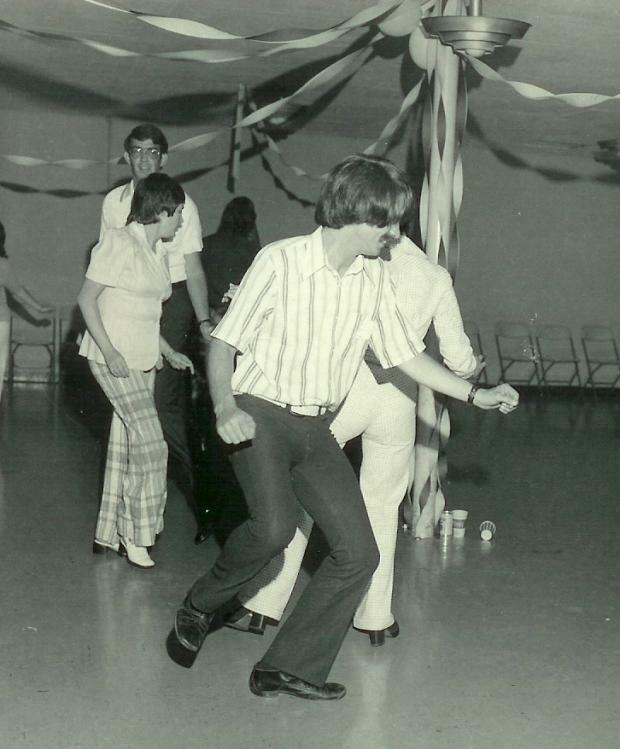 We were pretty groovy, dancing to a popular local band, dressed in the latest styles. We published a directory after the reunion with all the updated addresses and phone numbers we had found so people could stay in touch. 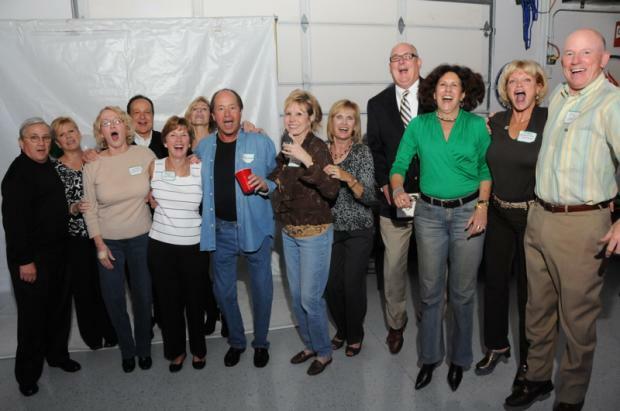 By our twentieth reunion, we were kind of in a groove. We went through the same steps to find everyone, using printed labels for our mailings. The committee worked long hours, finding we had lost more classmates and couldn’t find others who had moved in the past decade. We were still using our old class directory and the phone to locate everyone. We’d lost more people along the way. The excuses for not coming were jobs, money, small children. We still got about 200 to show up. The schedule for the 20th was about the same. We were noticing that the girls were becoming women and the guys looked like they were starting to lose their looks, or so we whispered. There were a few new spouses, divorce already beginning to take its toll. The list of deceased was growing. We had an elaborate slide show at our assembly, set to the song “Memories.” Teachers still came to the events and we realized they weren’t as old as they had seemed in high school. We were getting older, heading for middle age. There were those who timidly showed up on Friday, wondering how they’d be received, wondering if they’d know anyone, and left on Saturday feeling part of the group. We started to care less about what had happened in high school, the cliques were beginning to loosen. We had a directory and a t-shirt to remember. This time the directory was copies of forms people had sent in with bios and pictures. We were a little more sophisticated these days. Our design was created by one of our classmates who was always an artist, now a professional one. 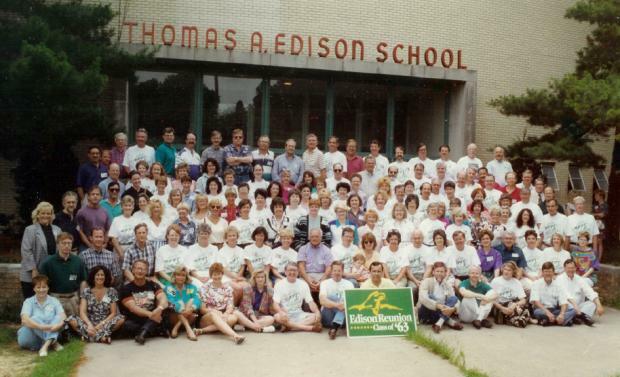 By 1993, we were ready for our 30th reunion. We had lost the heart of the reunions, our inspiring leader, and others stepped up to fill his place. The committee meetings were still the most fun, catching up with each other, helping to make the calls to locate classmates. We could still find some through the old class directory, some through calling their friends. We’d lost more in the decade, our list was growing smaller. The excuses for not coming as we approached our 40s were money, children now graduating from school or in school activities, jobs. There were still about 200 there, not even the same 200. We went through the casual evening, the class assembly, the dressy dinner dance. Now people showed up on Friday hoping they’d recognize our rapidly changing faces. We had picture nametags that year. You could see how we looked in high school and look up to see how we looked right then. The women still seemed to be getting better. The men were balding, going gray, more mature, still cute! It was fun to see if those class prophecies had come true in any way. Our beauty queens were still beautiful, our jocks were still looking pretty fit, the smartest ones were still smart. But, not everything stays the same, thank goodness. Some of those who had lived too hard were beginning to show it. The guy who got the award at our 10th reunion for cutting the most days of classes our senior year was now president of a bank. One of the smart ones who went to Rice and got an engineering degree had married, divorced, quit big business and gone to Colorado. 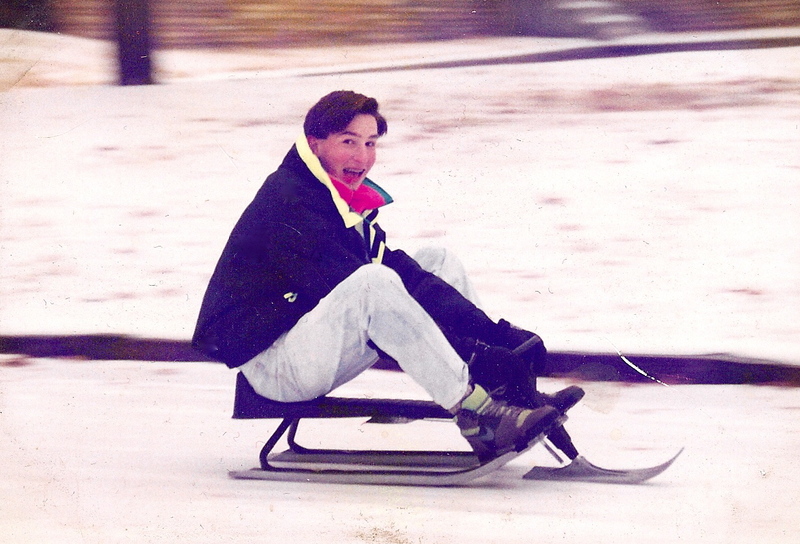 He was Mayor of Winter Park & loving the mountain life. Never would have dreamed it, but he was happier than ever. And we’d lost more of our favorite classmates along the way. Two of our classmates met for the first time at the reunion and married a year later. We did another t-shirt and directory, much like the last one. We were beginning to celebrate each other as much as the memories. We were an interesting bunch. 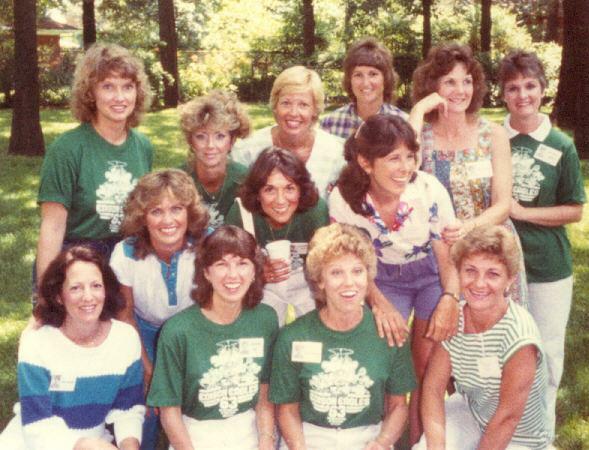 By the time the 40th reunion rolled around, we were different, the world was much different in 2003 than in 1963, 1973, 1983, 1993. We’d been through Viet Nam, The Beatles, the 70s, the 80s, the 90s, the changing of the century, and 9/11. 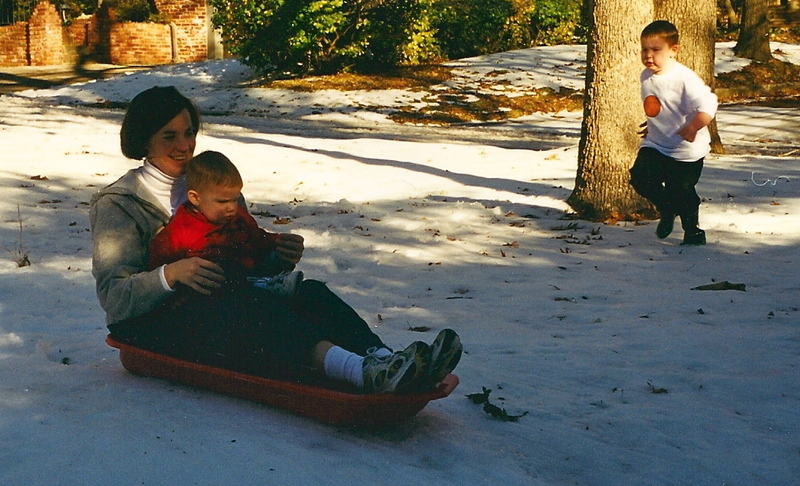 We’d battled divorce, moves, heart attacks, cancer, raising children and becoming grandparents. Some of us were caring for our parents. In fact, the excuses for not coming this time were the most varied yet. There were those with young children because they’d started late or were on a second or more marriage. There were college graduations, jobs, kids, illnesses and parents. We had classmates with AIDS. We were in the Sandwich era of our lives, between our children and our parents. Would there ever be a time that was just about us? We still managed to get about 200 to attend. Technology was changing faster than we could have imagined and we had the internet. We purchased a website and got it up and running. This would be our last time to do the hours of phone calling. Once we got the information on the site, classmates could keep updating it as we went along, adding bios and pictures, doing the work for us. We didn’t have to do a directory and we didn’t do t-shirts. We were moving with the times. We hadn’t cut away from the tradition of the casual night, the assembly and the dressy night yet. People still came Friday night, worrying if they would recognize or remember anyone. The pictures were on the name tags again. The Assembly was replaced by a tour of the old school, walks down the halls where some of our classmates could still find their pictures celebrating their athletic achievements. People toured the city to see the changes. We had golf for those who wanted it. On Saturday night, we were still rocking to the band. The songs were the same, oldies now. Classic oldies…just like us. We made new friends with old classmates we hadn’t known then. Two more classmates married after the reunion. We were valuing these people who had shared our youth with us, who they had been and who they had become. This time, we produced a DVD that incorporated all the slides and photos from the past with current interviews. We were changing with the times and shaking our heads at the things that had gone by the wayside. We had so much fun at the 40th and realized how many people we were losing at a faster rate that we decided to have a mini-reunion – a 45th. We did one casual night, thinking it would be mostly for classmates who lived close by. The band was guys our age, playing our music. Amazingly, 75-80 came from all over the country. It was easy and fun. We were still rocking, still here and breathing! Some could still jump, we looked older and wiser. The 50th! Good grief! We have lost so many people over the years, close to 100 that we know about, probably more. The 50th is here. We used the website, mail and email to contact people. We’ve added a Facebook page. This reunion is about celebrating us, celebrating that we are still here. We’ll have 175-200 for this one, some who have never been before. We’ll have larger type on the name tags, but no pictures. Everyone wonders if they’ll recognize anyone or remember anyone. We have two teachers who can come…one is 92 and will speak to our group. The other is not that much older than we are – we were her first pupils out of school. The excuses this time are children and grandchildren, surgeries, illnesses, money, busy retirement schedules, work schedules and even Japanese Parliament not getting out in time. A former Ambassador to Saudi Arabia is coming in from Dubai. The President of our Student Council and our class Vice-President both have Alzheimer’s. One classmate just had back surgery, several with knee and hip surgeries. Some are hobbling to the reunion however they can. Our will is strong, our bodies starting to need replacement parts. We are distinguished, fun-loving, casual, full of life and representing everything that happens to us in a lifetime. This time there is nothing to impress anyone. We’re going to be in the heart of all the happening things in Tulsa right now, right in the middle of the Arts District. We’ll meet early at a bar with a patio and then everyone can do the Art Walk, watch fireworks from the baseball stadium, get a fancy meal, enjoy their special group of friends, or tuck in early. Anyway you want it. Saturday night we meet at historic Cain’s Ballroom for barbecue, wearing comfortable shoes and casual clothes. 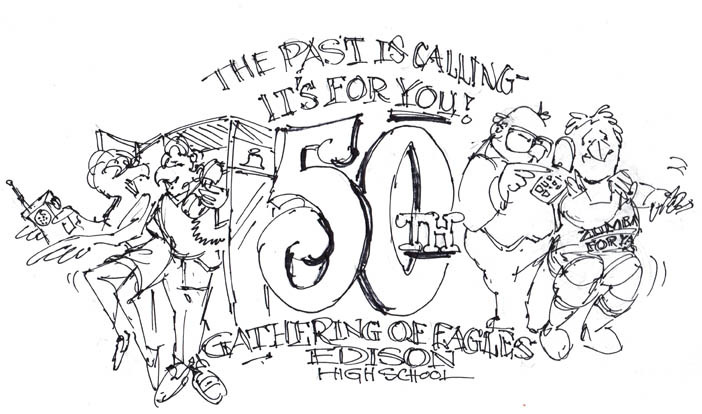 We have t-shirts again and the band is back from the 45th, classmates of ours, to bring back the oldies. Everyone is excited to see whoever comes. We laugh that we’ll have a whole new group of friends by the end of the weekend. Our Facebook page has 70 members now and is lighting up with excitement and memories. We’ll be there with our cell phones and iPads, today’s brag books of pictures of our beloved children and grandchildren. We’ll share experiences, travel stories, memories. We’ll have our cameras! Our aging Eagles are flying in to celebrate! I’ll let you know how it goes. In the meantime, Rock On Class of 1963! I must be starving for hamburgers. There are lots of great hamburgers in the world and we’re lucky to still have some of the ones I grew up with here in Tulsa. They’re probably still my favorites, maybe because they come with a side order of memories. 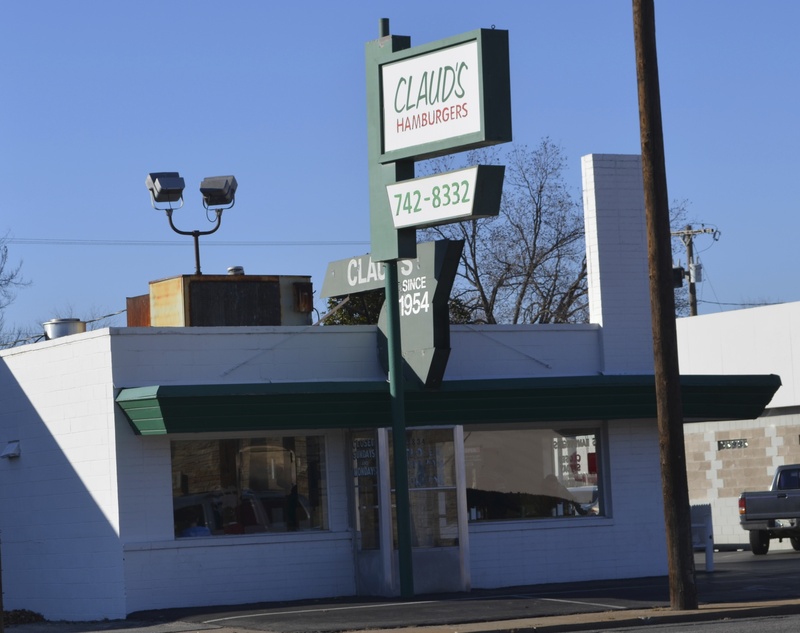 Van’s was great, but Van sold his location on Peoria to Claud’s long ago. It’s nice to know he was passing it along and it still is owned by the family. I love the tiny space where you can watch the whole operation while you wait. Nice to get a bag of burgers and fries just like the old days. Across the street is Weber’s with its unique history. 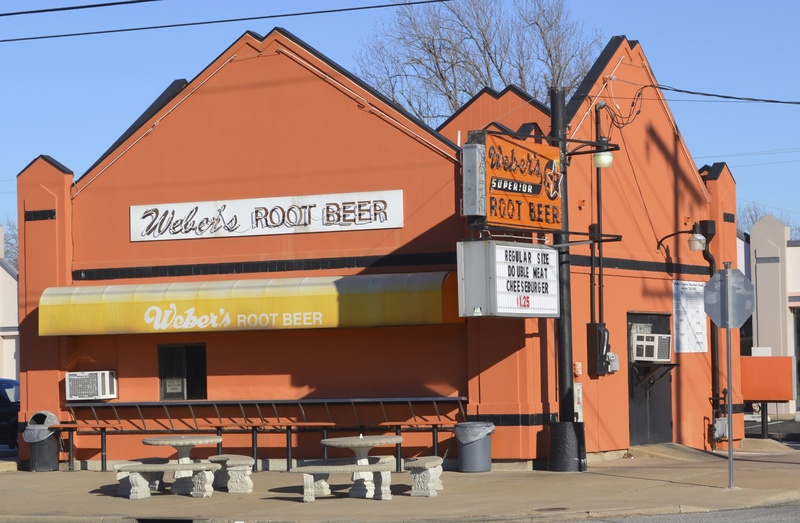 Dating back to the 1890s, Mr. Weber made his own root beer and invented the burger. That fact was validated by the governor of Oklahoma and I love the fact that it’s still owned by the family and they use the same grill he used way back when. They still make their root beer and their onion rings are awesome. That little orange building has moved a few spaces since I was a kid, but it’s a welcome sight…gives me sense of stability to see those two families still in business at 38th and Peoria after all these years. Hank’s goes back even further, 1949. Nothing has changed in there, for sure. Still a great burger, great fries and a malt like I remember them. Way out on Admiral, but fun for an occasional fix. My husband was a big fan of the original Ron’s on 15th. He would head over there on Saturdays to pick up his burger with chili. I miss the little diner, but at least we can get the burgers at all the locations now. 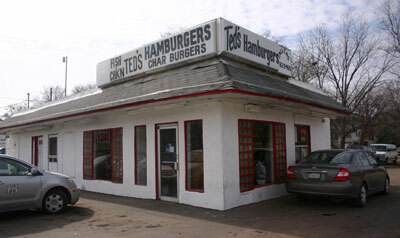 I discovered Ted’s, over on Edison, many years ago while doing volunteer work in the area. Great hamburgers. 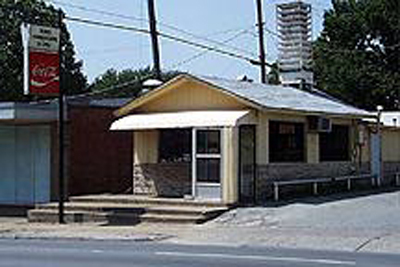 Brownie’s started as root beer stand, according to a friend who lived in the area when we were kids. 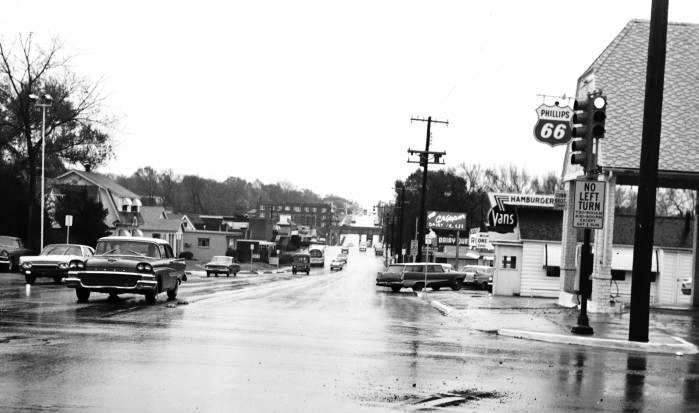 It became a hamburger and root beer place way back when. My husband and I spent many a weekend lunch or dinner in there. We loved the staff that had been there forever, the atmosphere with all the little toys on the shelf, pictures of customer’s children lining the check-out and the food. When Brownie died, it floundered a little, but a young couple bought it and it’s as good as ever. 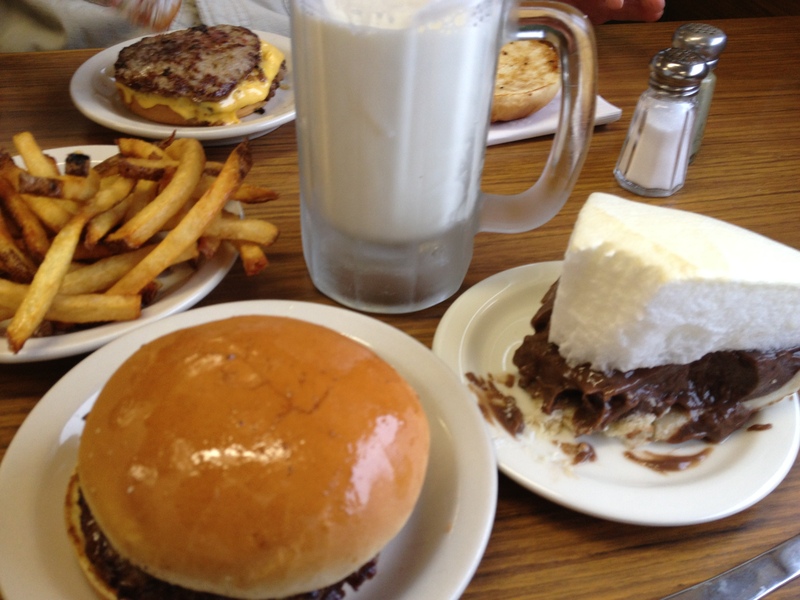 My favorites are the hamburger and fries with a frosty mug of milk. And the pies…I try to resist the chocolate meringue but that’s always a weakness of mine. They make a lot of pies and they even have a food truck now. And then there’s Goldies. 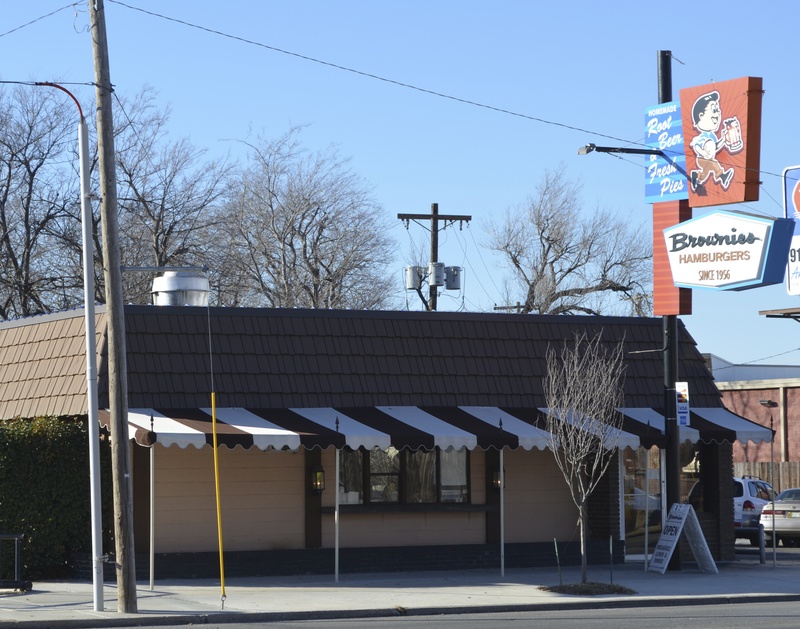 It first opened as Goldies Patio Grill at 51st and Lewis with a par three golf course adjoining. My dad was invited to the opening and set the first course record. Their steak is a great bargain, but it’s the hamburgers, the Goldies Special being my favorite. Whatever the secret spices they use are, you can’t mistake that flavor. The quality has been consistently terrific through the years. I forgo the fries and get the slaw, unique for it’s creamy dressing. And there are the pickles. Where else do you get a pickle bar? Where else do you sit and munch on a bowl of pickles while you wait for your order? I guess that’s my tour of my favorite local burgers with memories fried in. There are lots of great burgers, but I like mine the way I remember them. 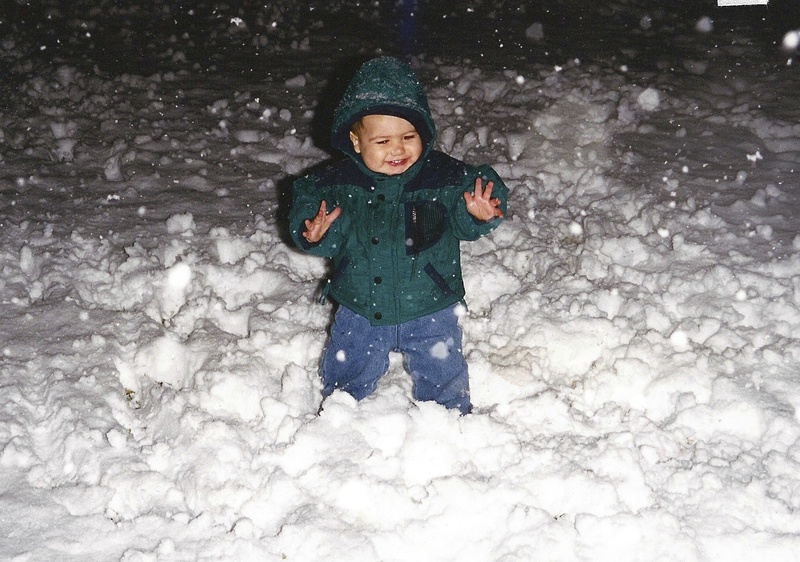 Who knows how long these places will be around…I’m going to start taking my grandkids. 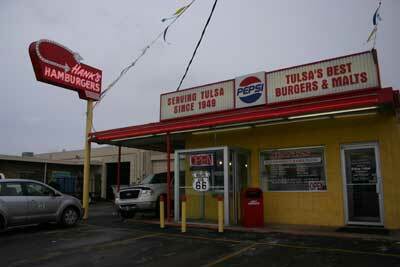 A little Tulsa history with a yummy burger thrown in. On my list of things to have with me on a desert island are hamburgers – not the most practical or healthy choice. 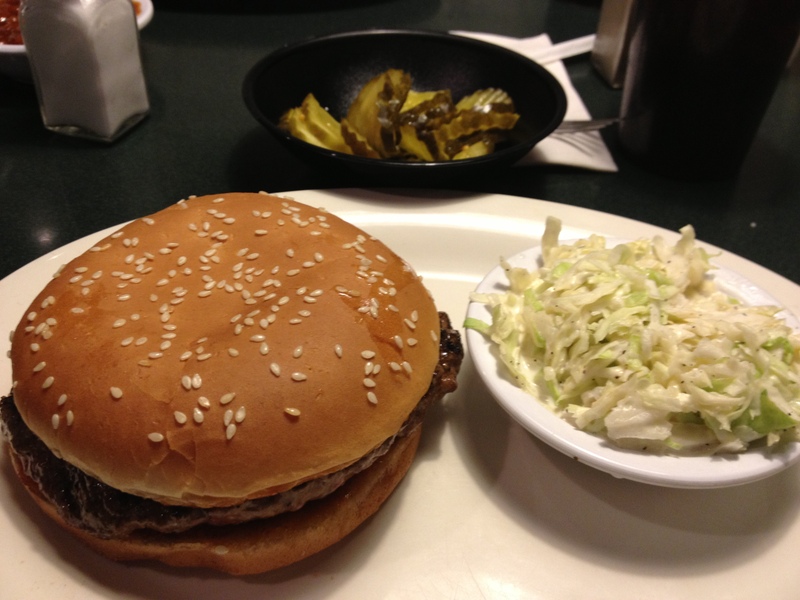 Hamburgers are comfort food, loaded with memories. When my grandmother would stay with us, she would cook hamburgers and make french fries. We would get little cups of ketchup, just like going out. 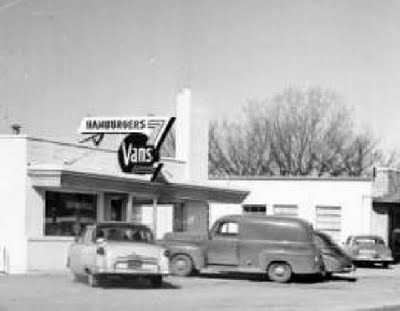 The first hamburger place I really remember was Van’s. They had more than one location eventually, but the one I loved was on 15th Street, east of Lewis. On special Saturday nights, I could go to Van’s with my Daddy. We stood in line, waiting for our order, listening to the waitress with her droning question, “do you want onions on that?” The guy who cooked the hamburgers was an artist with his spatula. 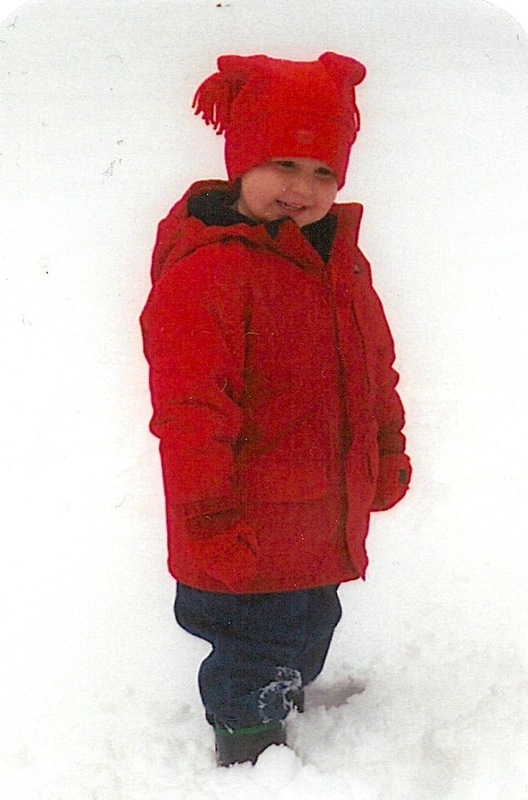 He had long dark hair, combed back under his hat. Watching him take a ball of ground beef and throw it on the well used griddle, where he proceeded to flatten it, shape it and turn it, was an endless fascination. He worked like lightning with skills that I still admire. 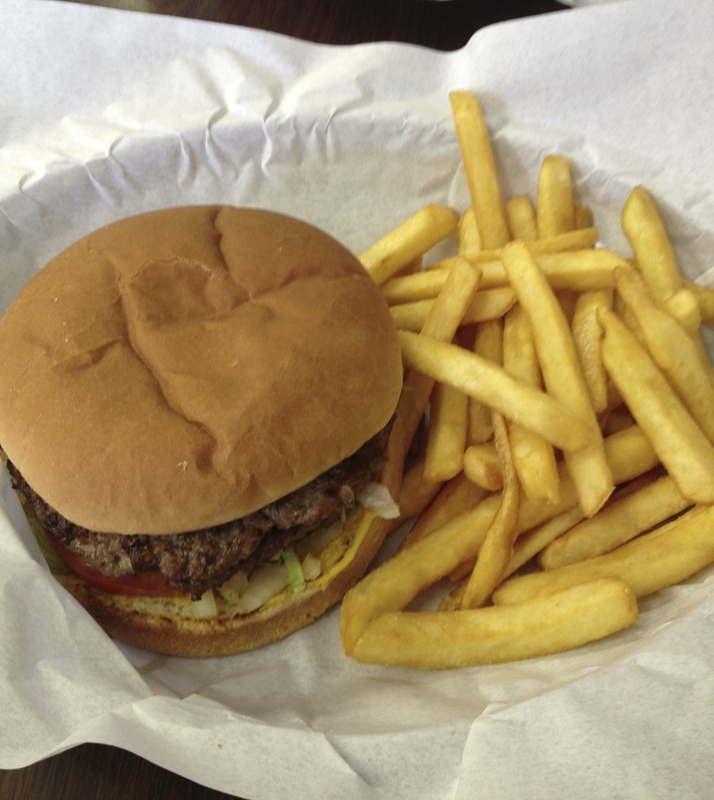 When they were done, the burgers were wrapped in wax paper and the fries were placed in the little paper envelope. Riding home with that greasy brown bag of burgers makes me drool even now. 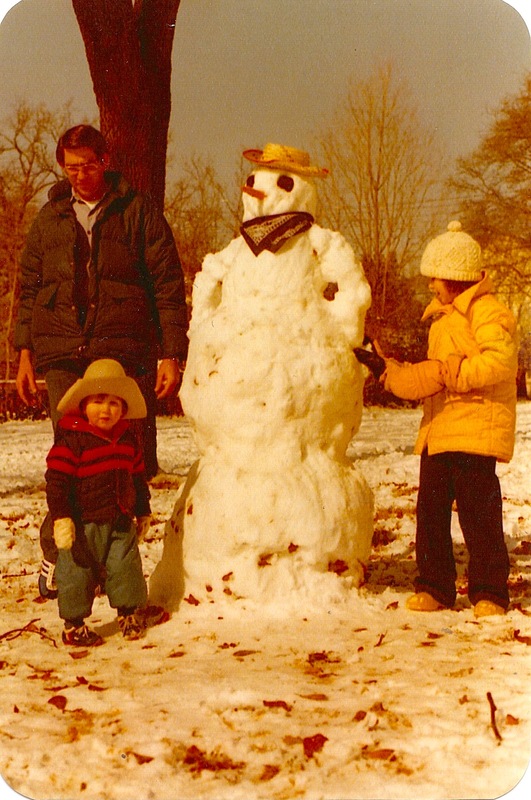 But Pennington’s was the place where memories of the food mingle with all kinds of rites of growing up. 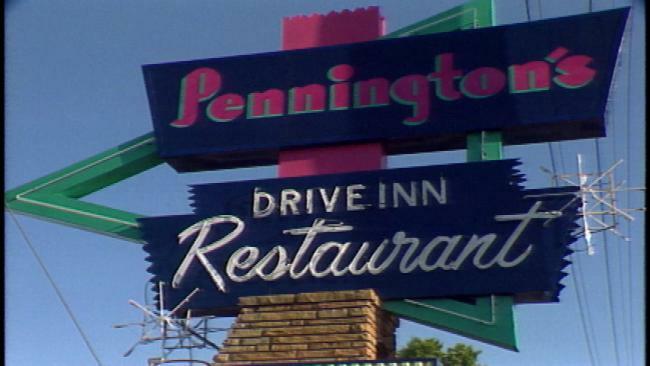 Pennington’s Drive-In Restaurant was on Peoria and was the heart of my life for many years. I started going there with my parents, but caught on easily that this was a cool place to be. We would order our hamburger in a basket with either onion rings (Pennington’s were uniquely thin and delicious) or fries. Whoever invented the basket for hamburgers deserves a place in museums of industrial design. Those colorful plastic baskets have never been improved on for ease while eating in the car. Our order would come with a stack of baskets of chicken, burgers, shrimp or any of Pennington’s favorites. Early on, the carhops were on roller skates, when that was the newest thing. 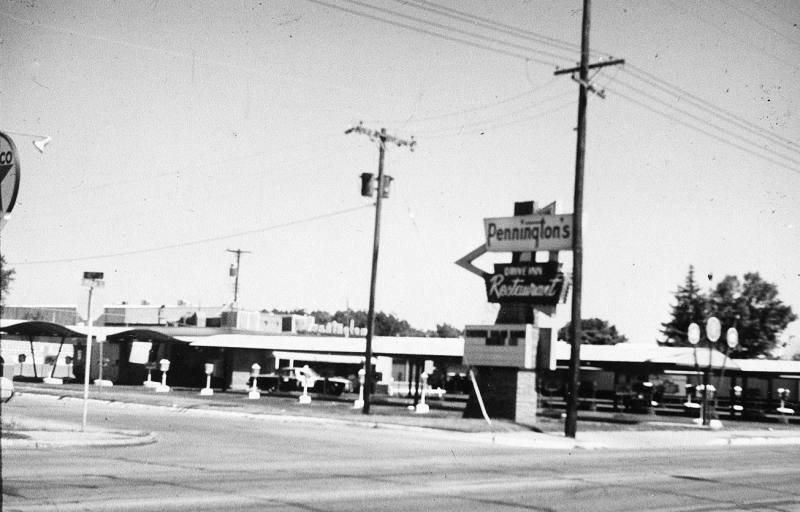 As I grew into junior high, Pennington’s became the hangout for Tulsa’s teens. When you’re not quite teen-aged, it was embarrassing to be there with your parents. Soc Row was the middle row, with pole position being the spot at the end near the restaurant. Here you could wave and honk at your friends as they cruised through, looking for a parking place and everyone could see that you were there. I confess that Daddy thought this was hilarious and I can remember him parking in the prime place, yelling “Whee” as the teenaged girls giggled by. I, of course, was sitting on the floor of the car, mortified and sure that my future life was ruined. Daddy, Daddy. Silly Daddy. This was my home away from home all the way through high school. We raced to get there and back on our 30 minute lunch hour. If I ran an errand for my mother after school, it involved picking up a friend and stopping at Pennington’s. We went on dates that began or ended there, we piled in cars after football games to drive through, honking our school honk. We decorated our parents’ cars with our social club colors and drove through during our annual rush of new pledges. In the summer, we cruised Peoria in the evenings, looping through Pennington’s as we searched for our other cruising friends. It was where you could see who was with who and you could be seen. Reputations were made there! We knew the Penningtons, Arch and Lola, and could see them inside behind the counter. 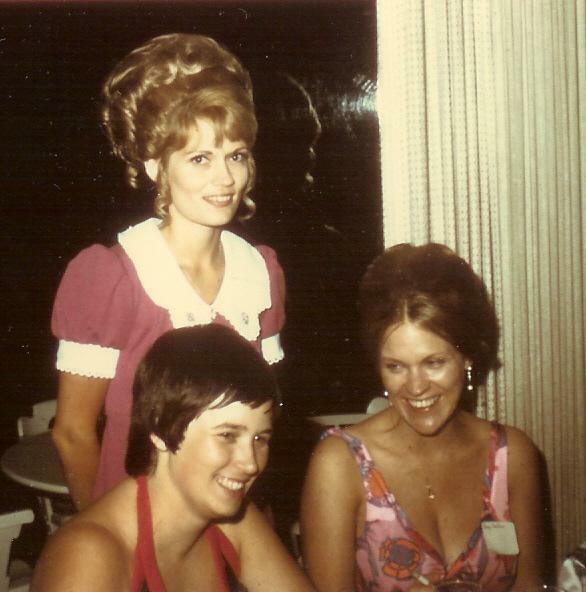 Sherry was everyone’s favorite carhop and I’m sure she got more than her share of cocky teenaged boys trying to show her how grown up they were. We weren’t allowed to get out of our cars, for fear of being approached by Jake, the security guard. It was a time when we listened to the rules, although some tried to push him to his limits. tucked away in the main area. I recently discovered JL’s in Pryor, which was excellent. Down home atmosphere with lots of seating. Parking lot is full of cars & trucks, even in the middle of the afternoon. Big servings for big appetites, served in a cafeteria style line. Albert G’s has been one of my favorites – not just because the owner, Chuck Gawey, grew up next door to me and I love his whole family. The food is great, reasonably priced and close by. I usually get the 3 meat platter (ribs, sausage, and pulled pork are my choices – or the bologna for one), and split it with a friend. The tabouli is like his mom used to make for us and I always get the potato salad. The chicken specials are also yummy. Can’t wait for him to open his new location in downtown, just for the fun of it! Today, I finally got to taste Burn Co. BBQ on 11th St. They close as soon as they sell out, so you have to get there early and I kept missing it. At 11:15, the place was packed. The line is part of the atmosphere and today they gave samples, which people were sharing in line. My choice today was “The Fatty,” which is a thick sandwich of a slice of a loaf made of ground beef, sausage, bacon, chopped meats. It was pretty spectacular, no matter how guilty you feel ordering it. Their sauce is a little spicy, but not too much. My other choice was the “Contest Platter,” one of the day’s specials. The ribs were thick and tender and the beans were good. Lordie…the candied bacon is addictive, following the current rage for bacon in any form. I got it to go, but loved the cramped seating. I shared it all with a friend with some left over. They open at 10:30 and probably have a line immediately, but it’s worth it. 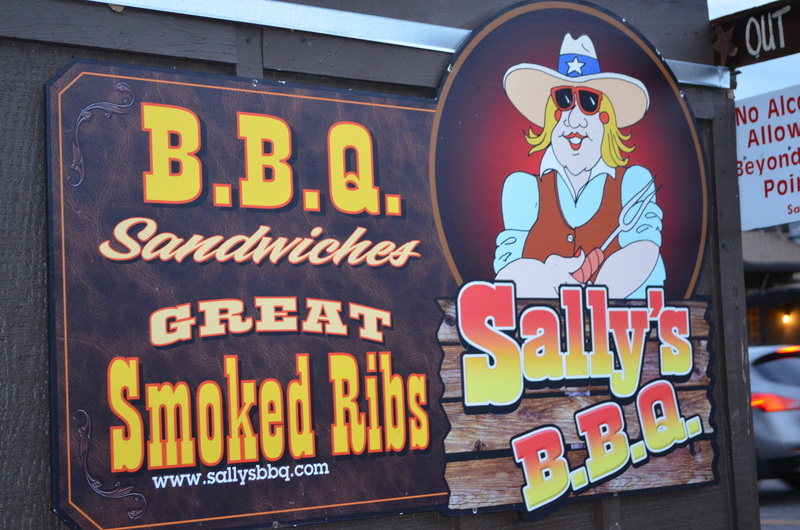 Those are some of my favorites, which are all different kinds of barbecue…what are yours?